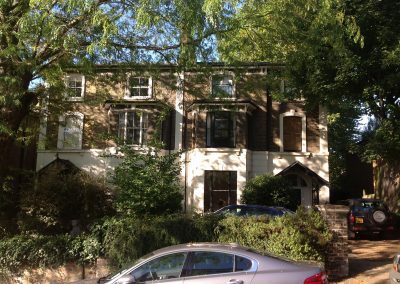 12 Oakhurst Grove Dulwich Se22. 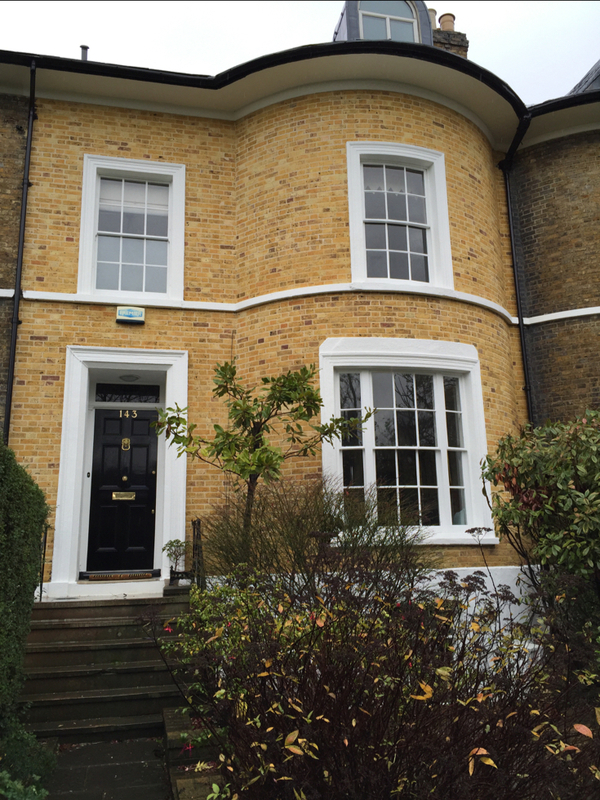 This property had the whole house repointed. 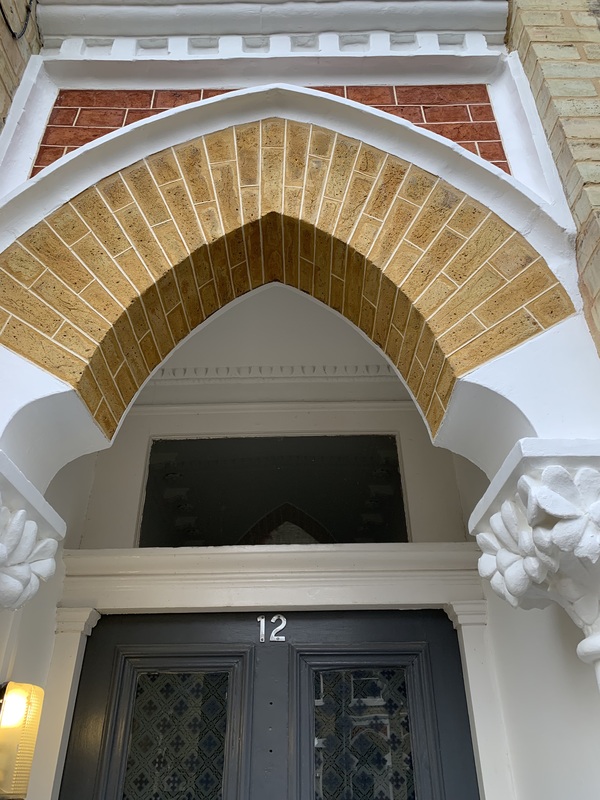 On the front facade the customers had the brickwork cleaned and all the Gauged arches Tuckpointed. 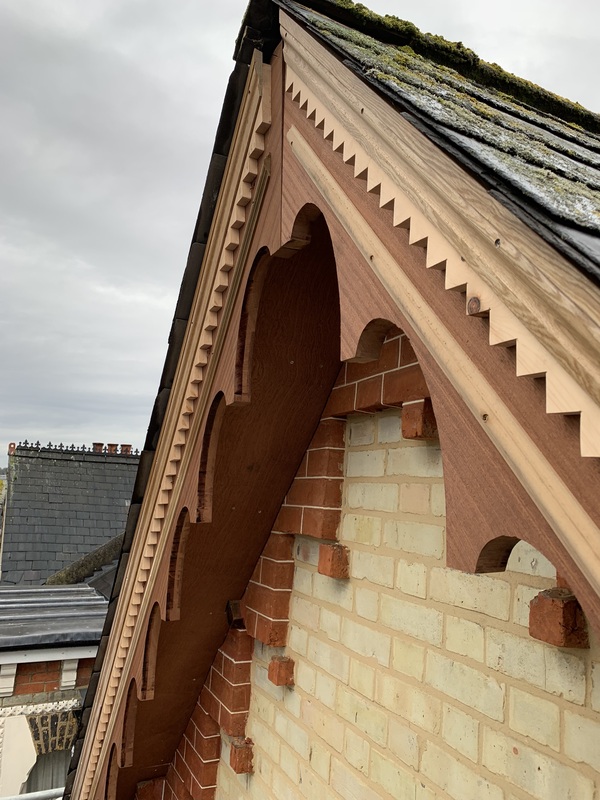 We also restored the timber Gable taking down the old rotten gable and replacing like for like this was hand made by are carpenter , we also restored all the stonework and decorated all the masonry. 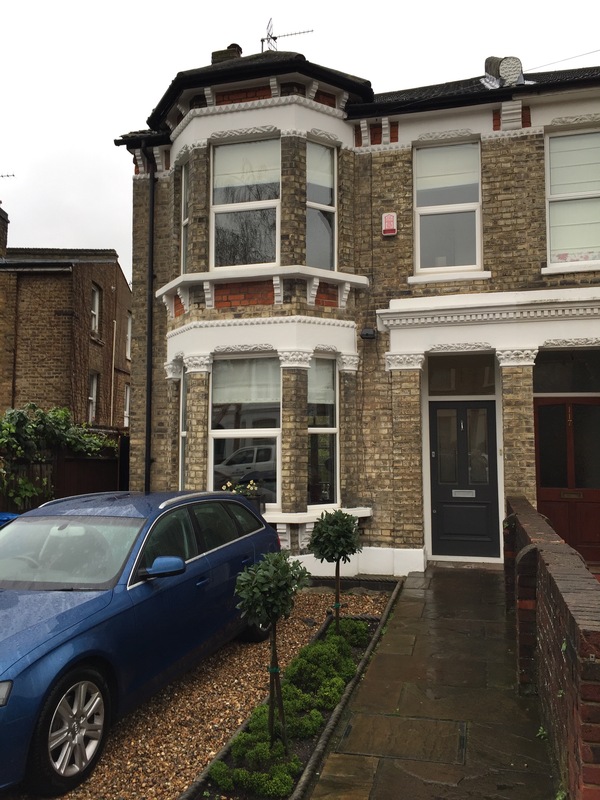 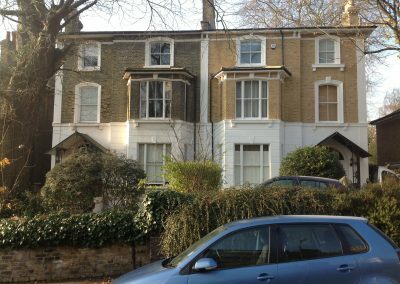 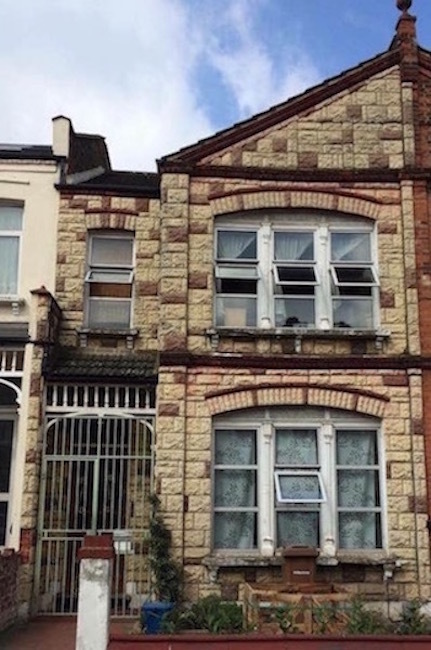 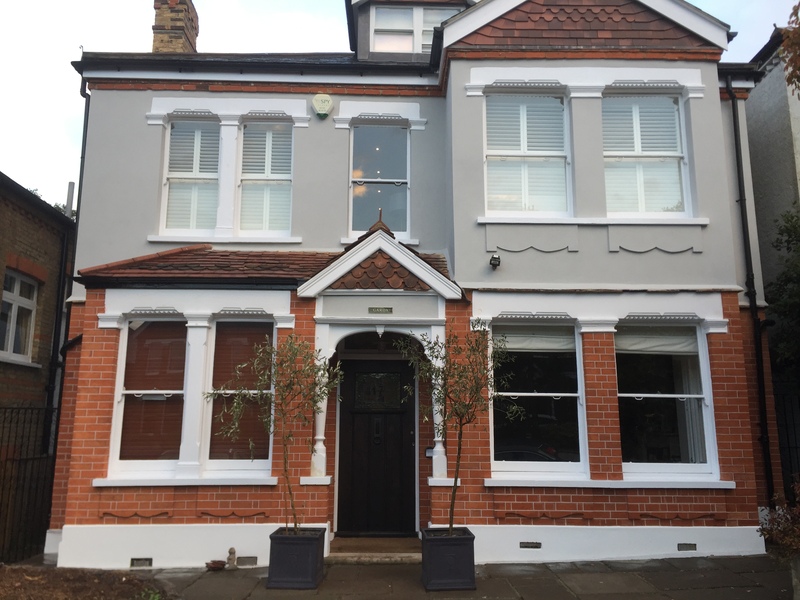 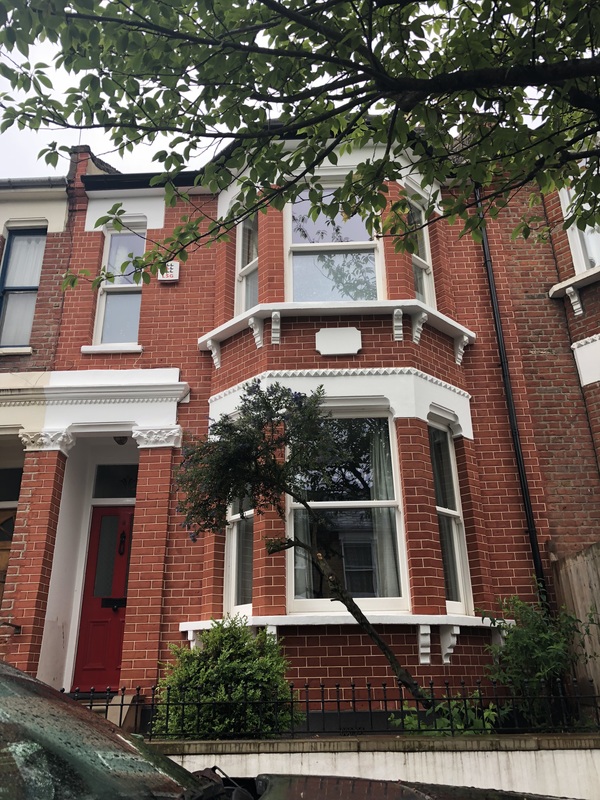 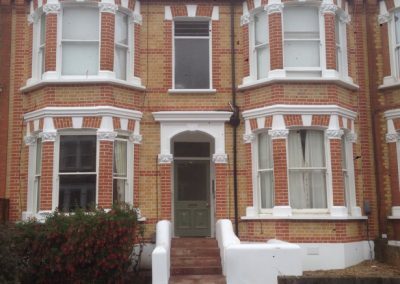 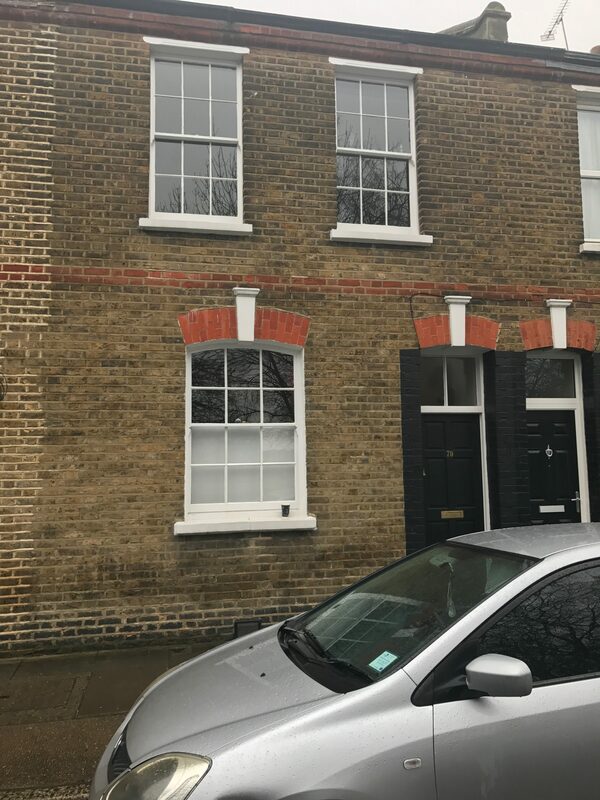 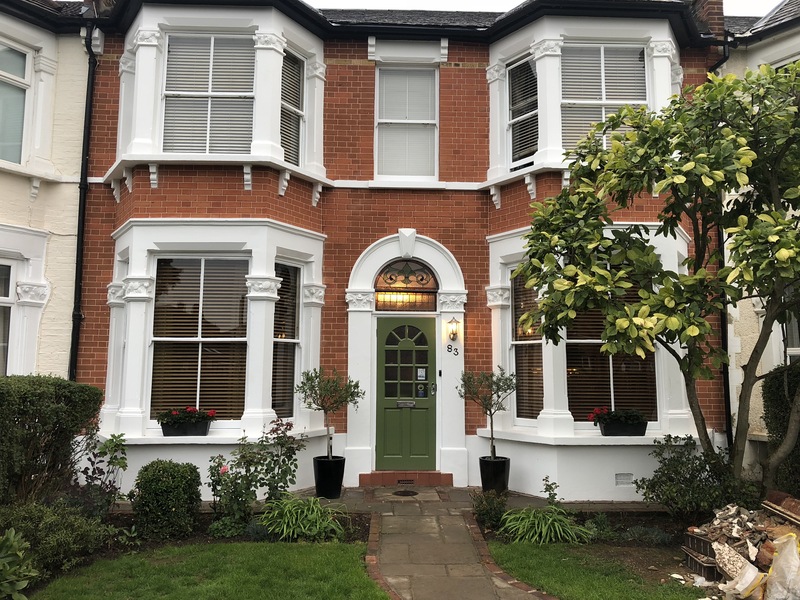 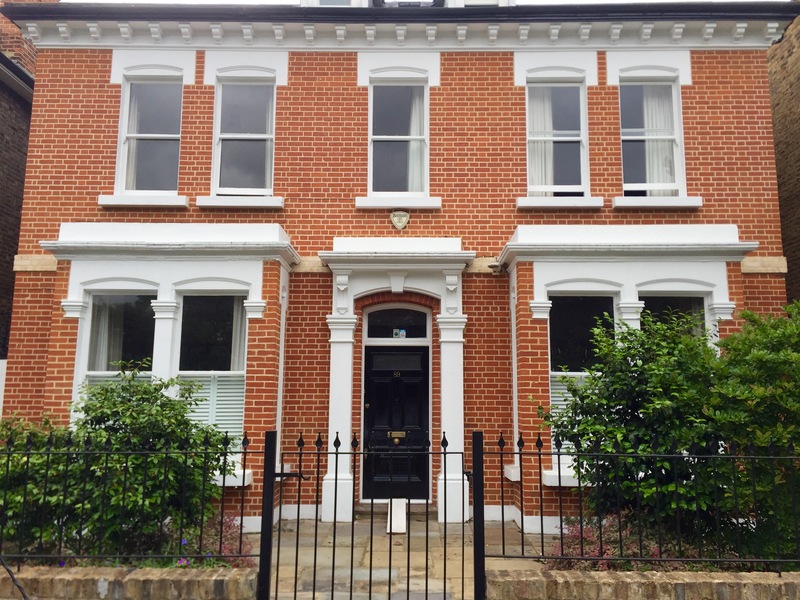 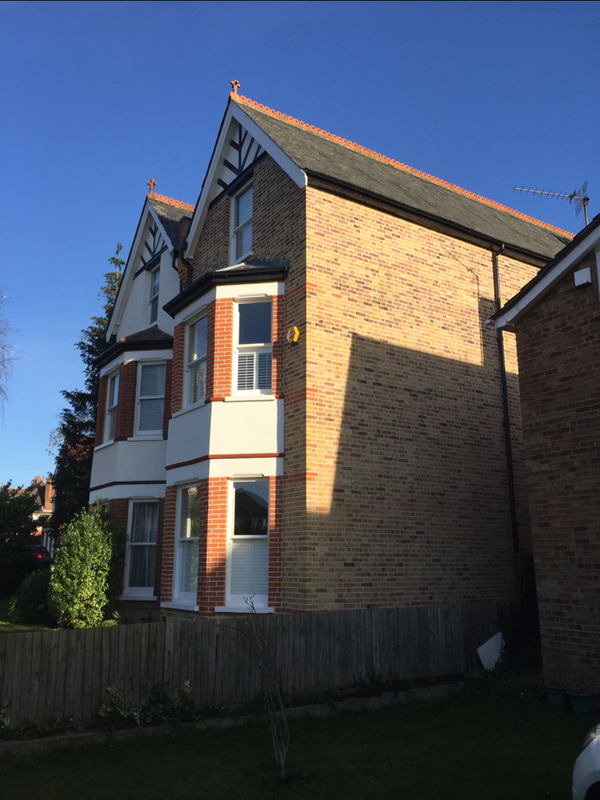 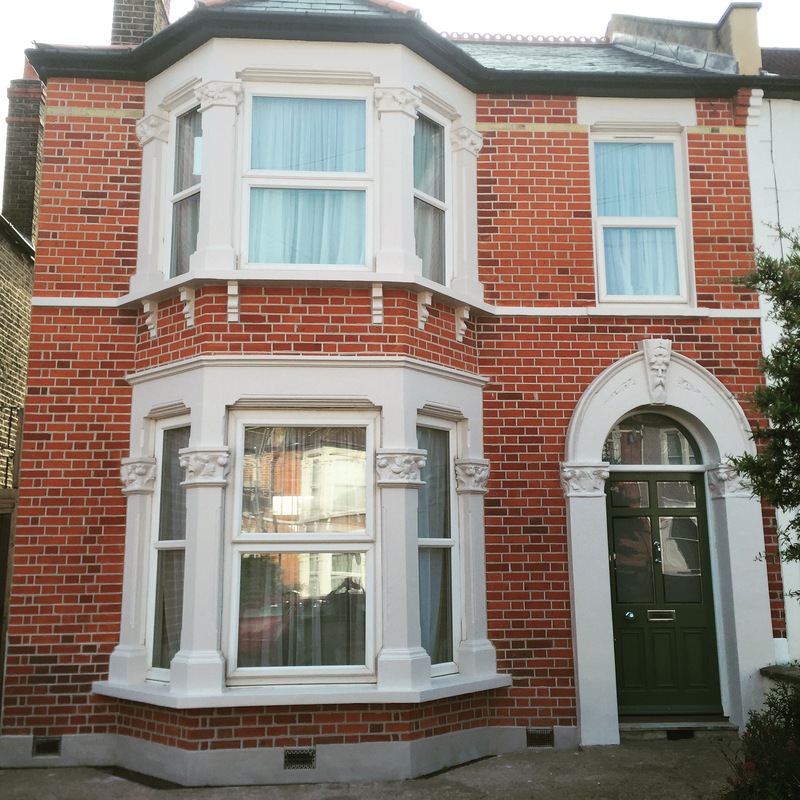 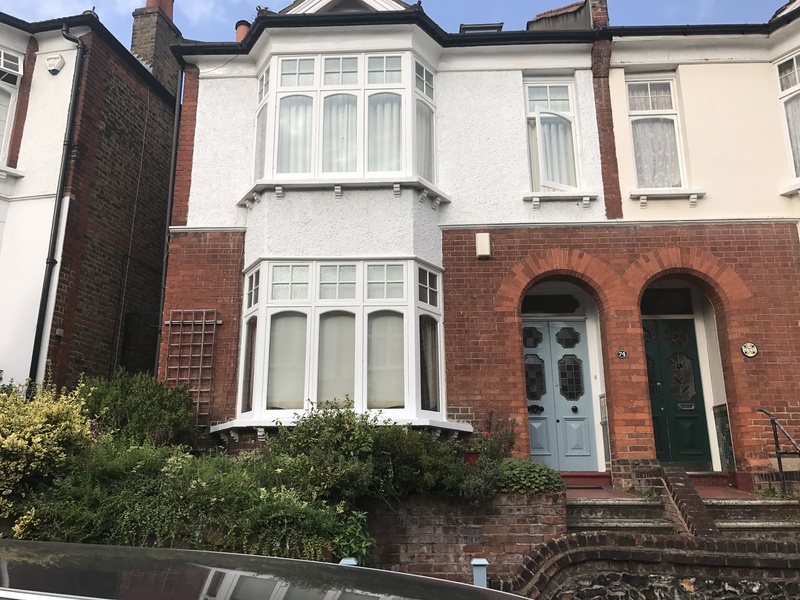 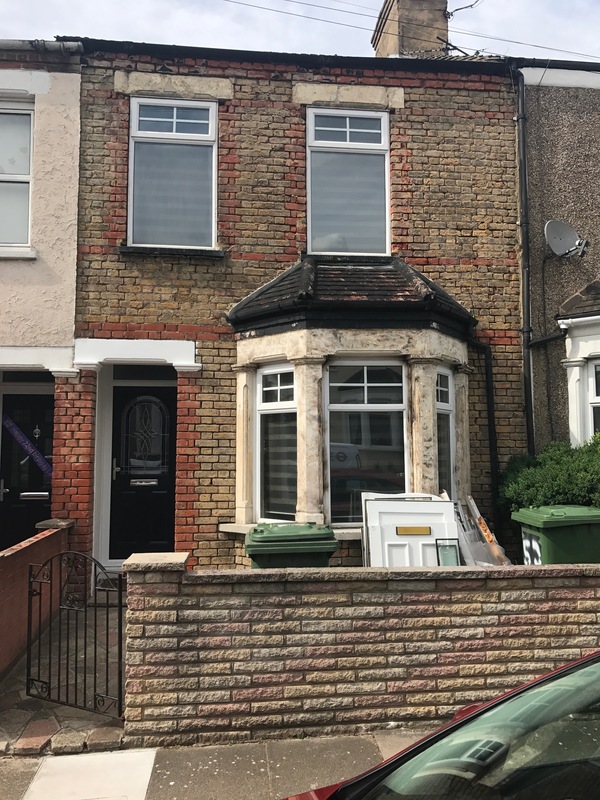 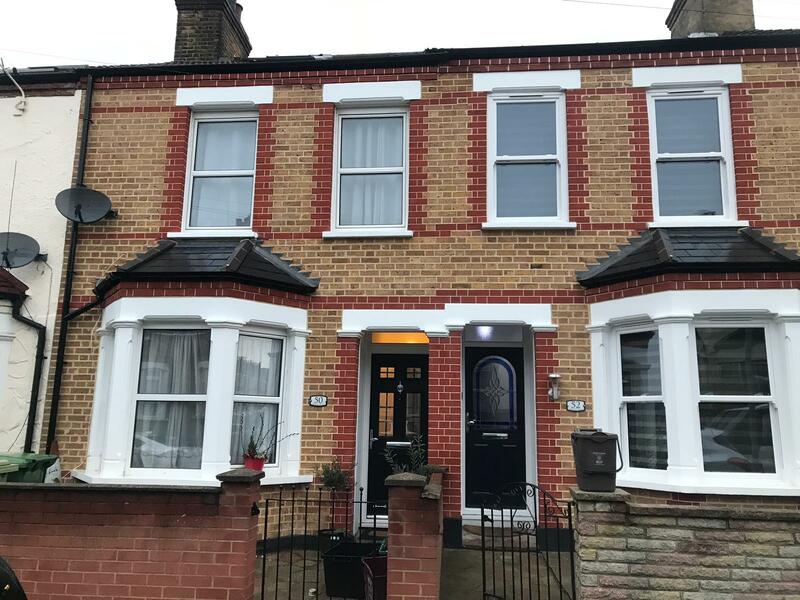 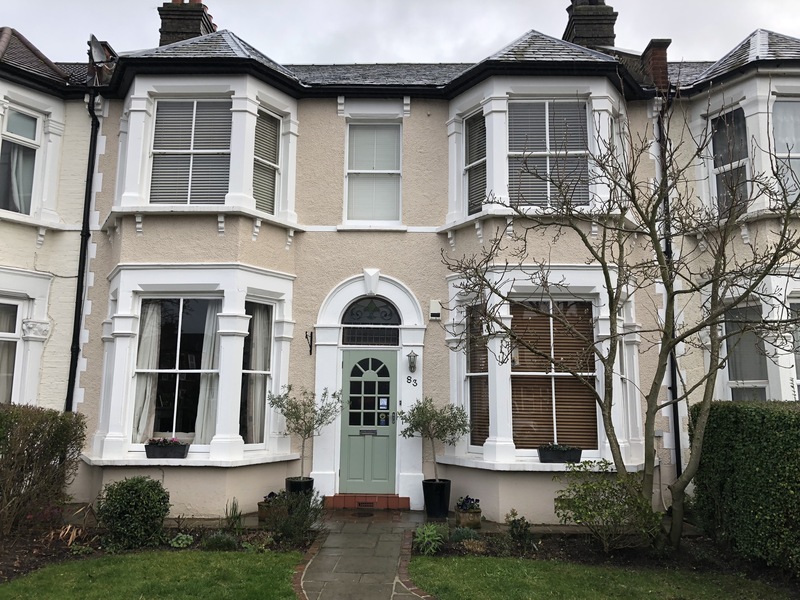 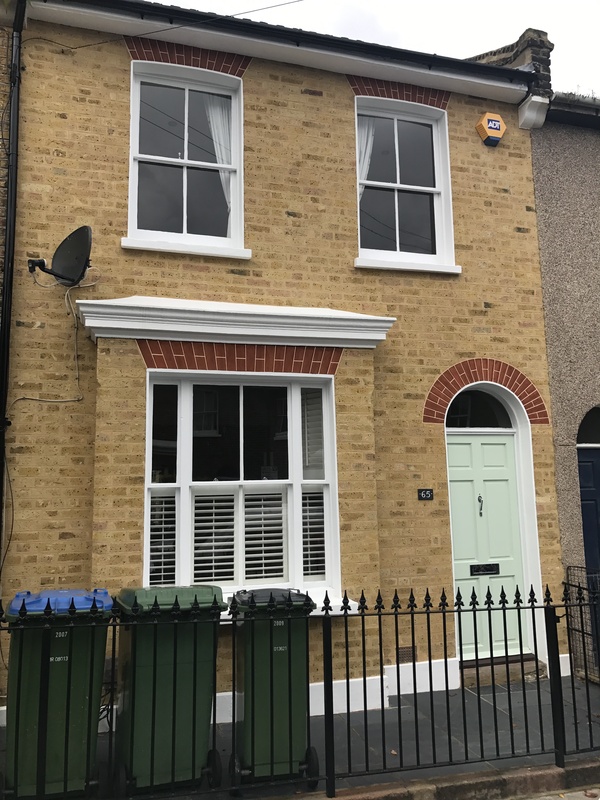 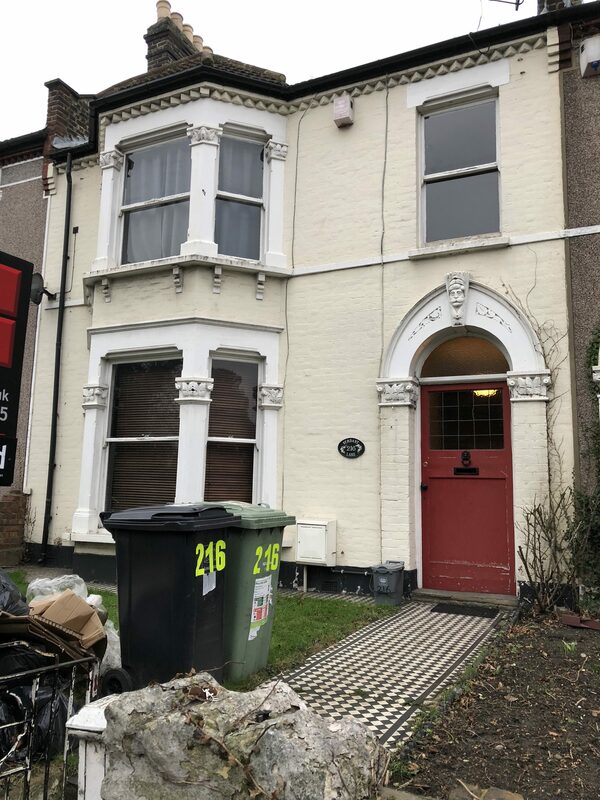 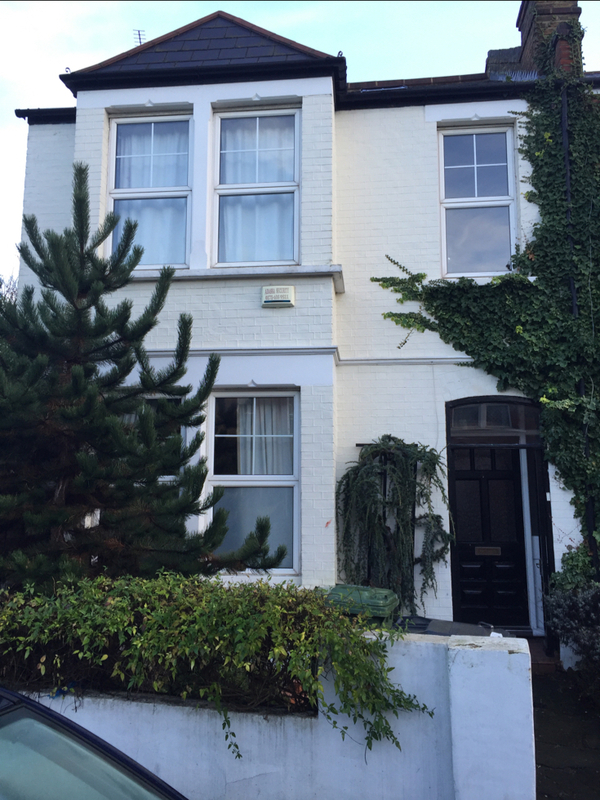 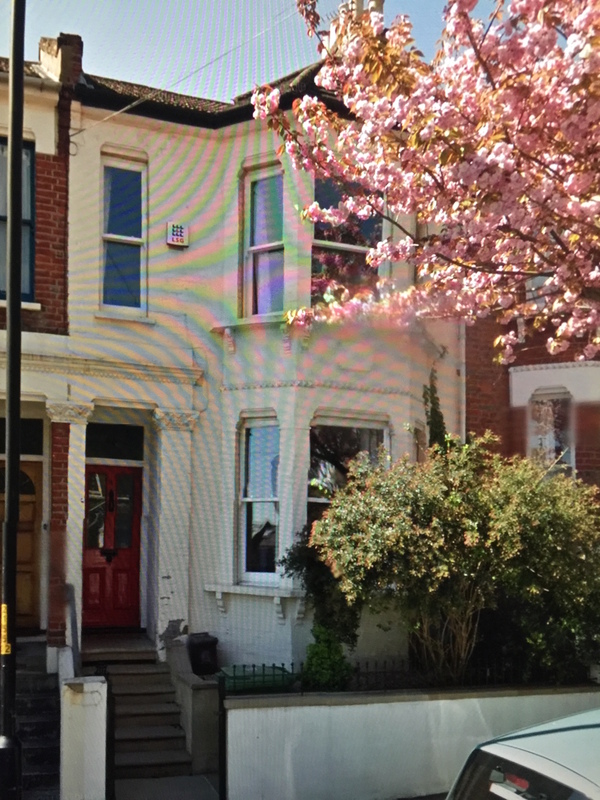 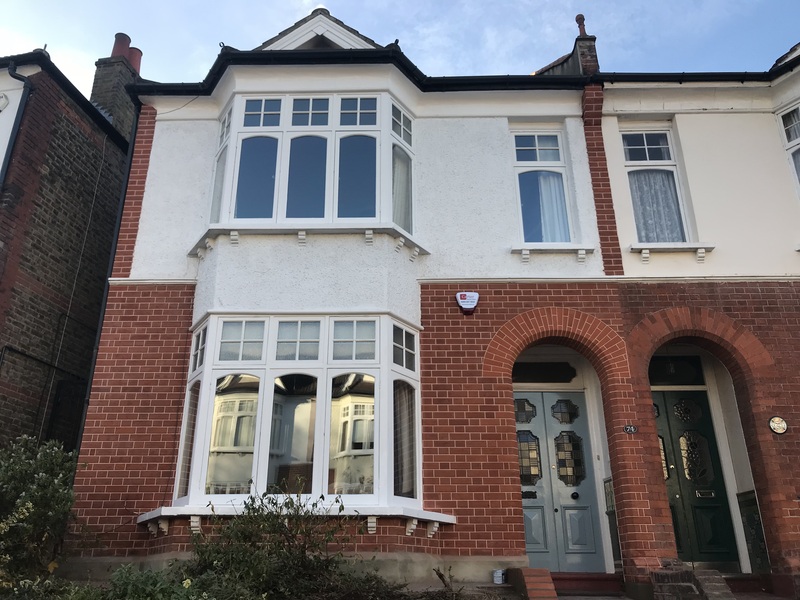 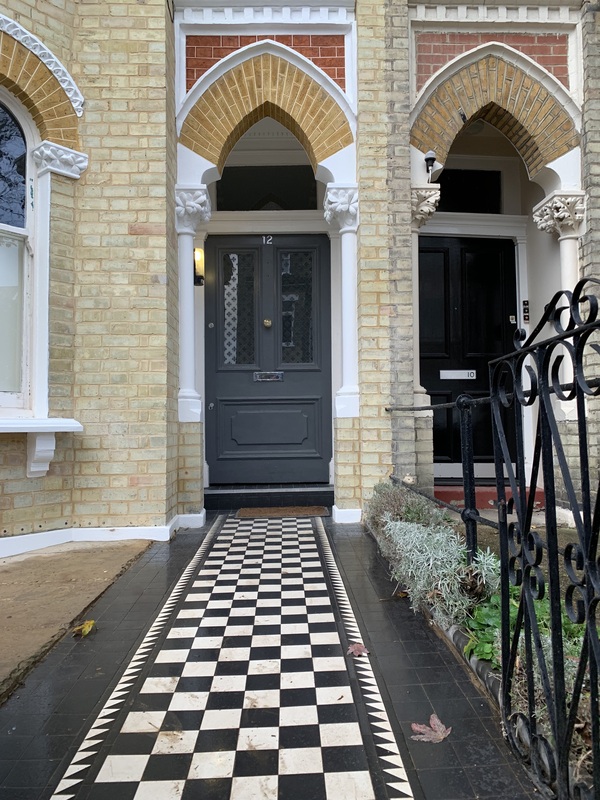 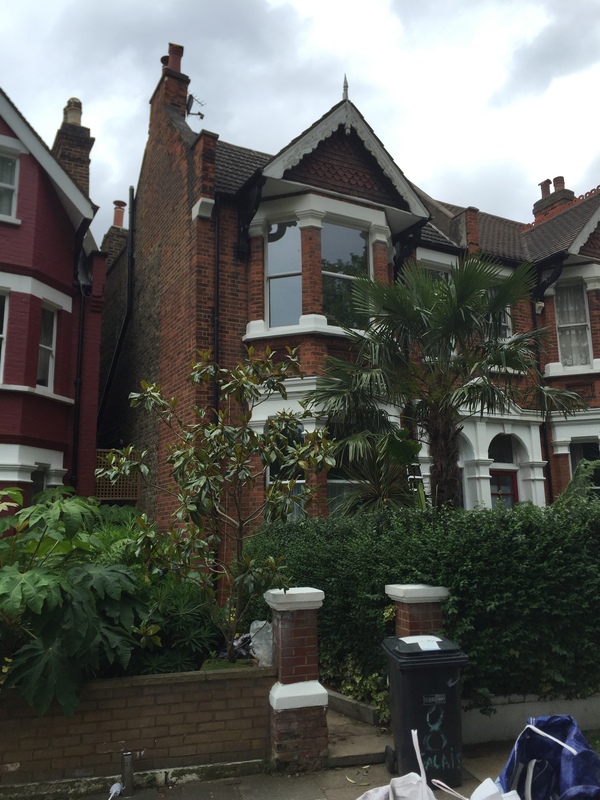 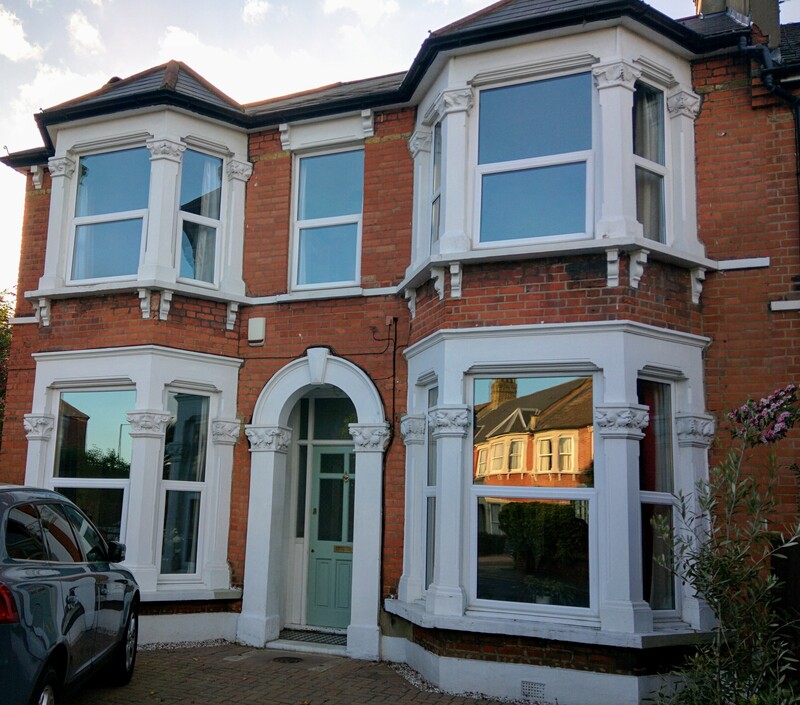 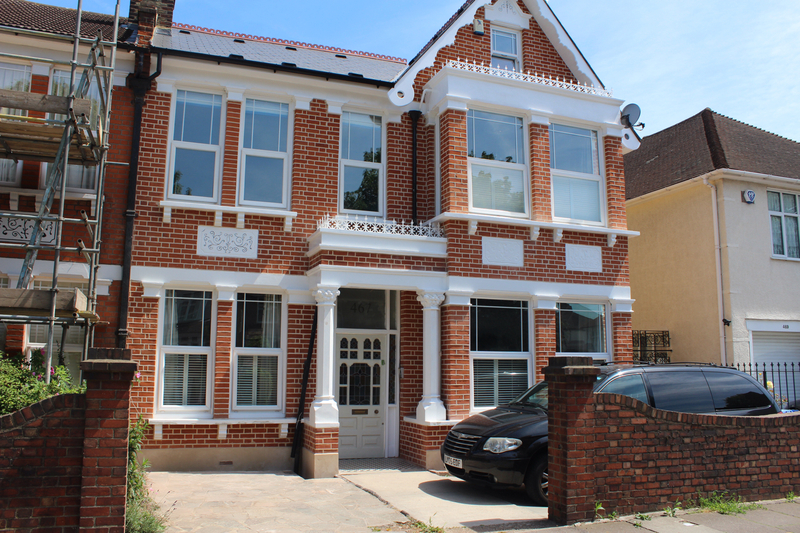 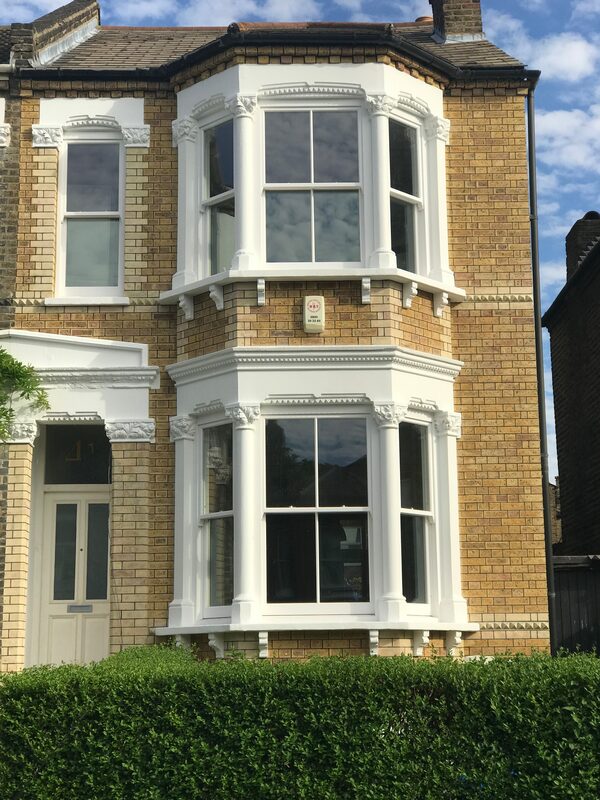 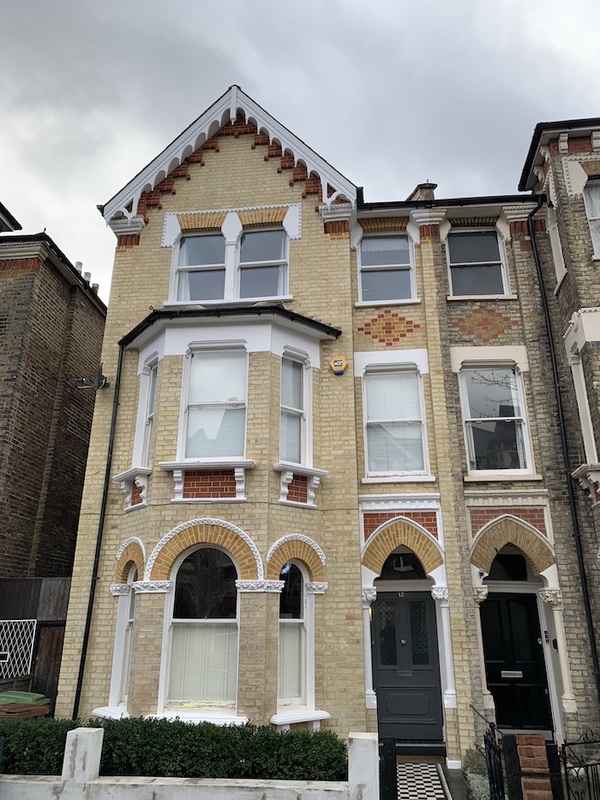 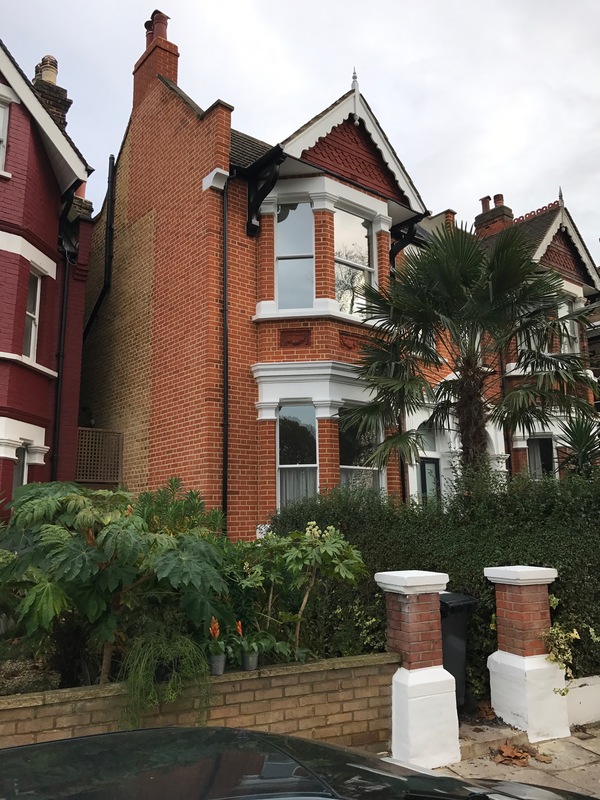 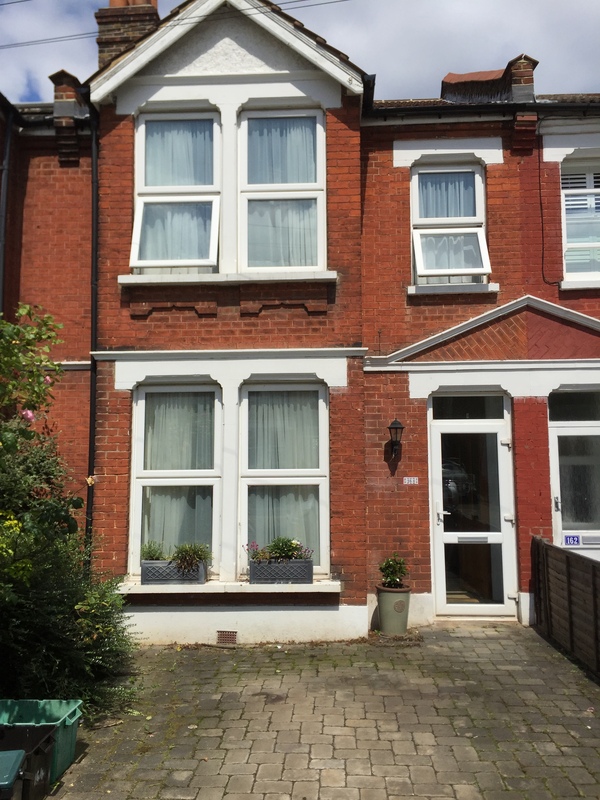 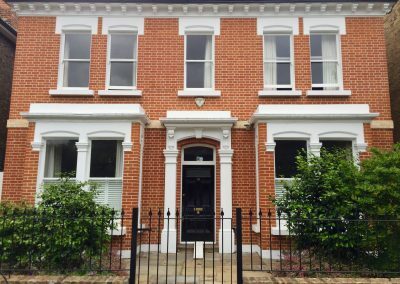 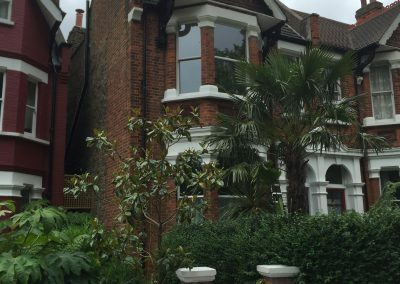 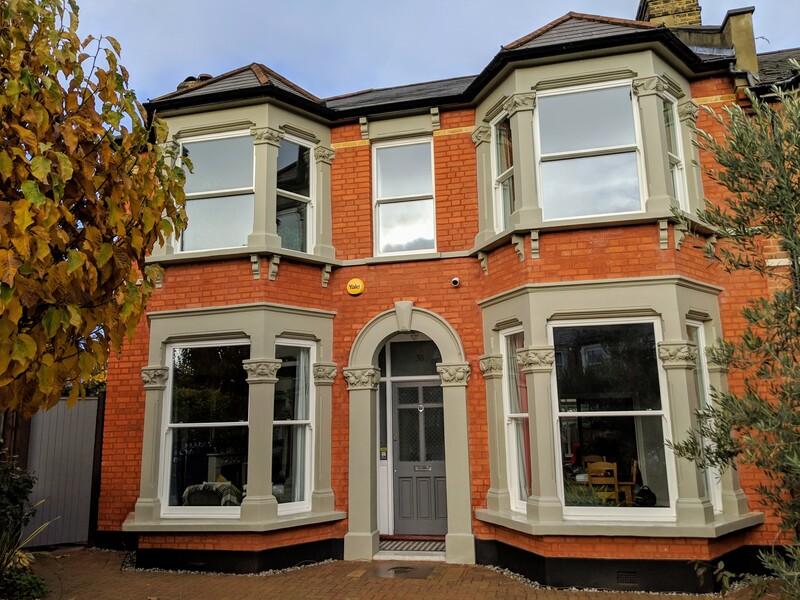 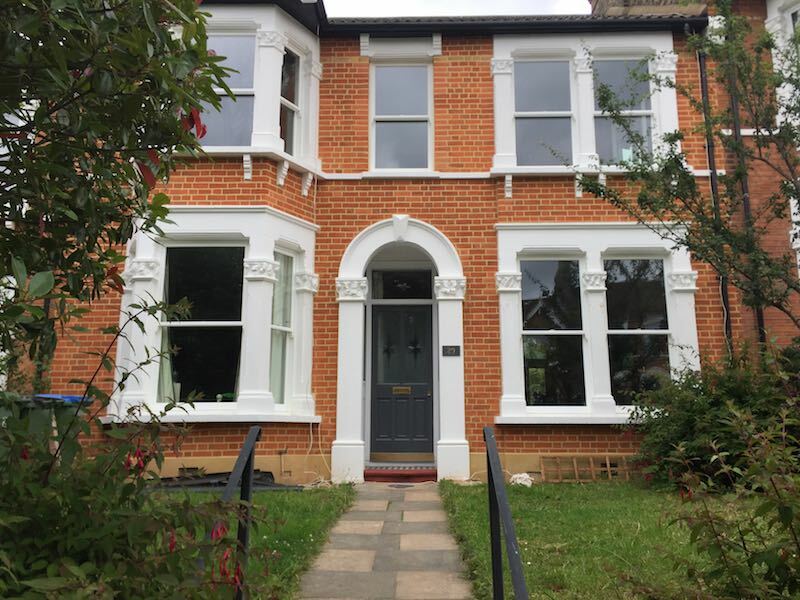 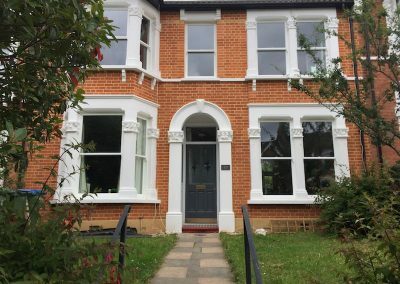 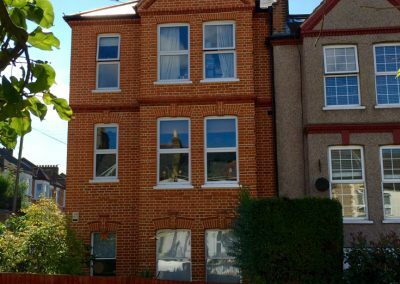 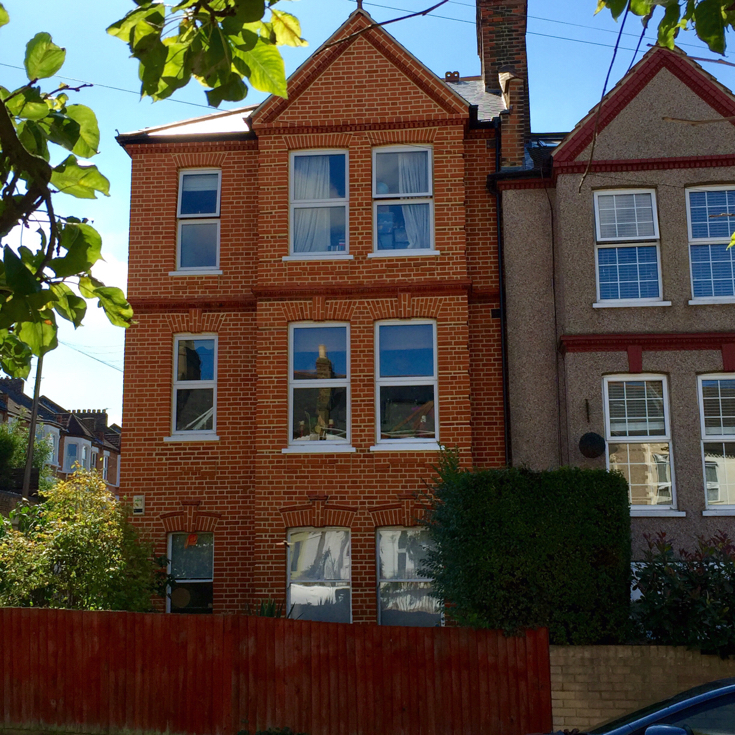 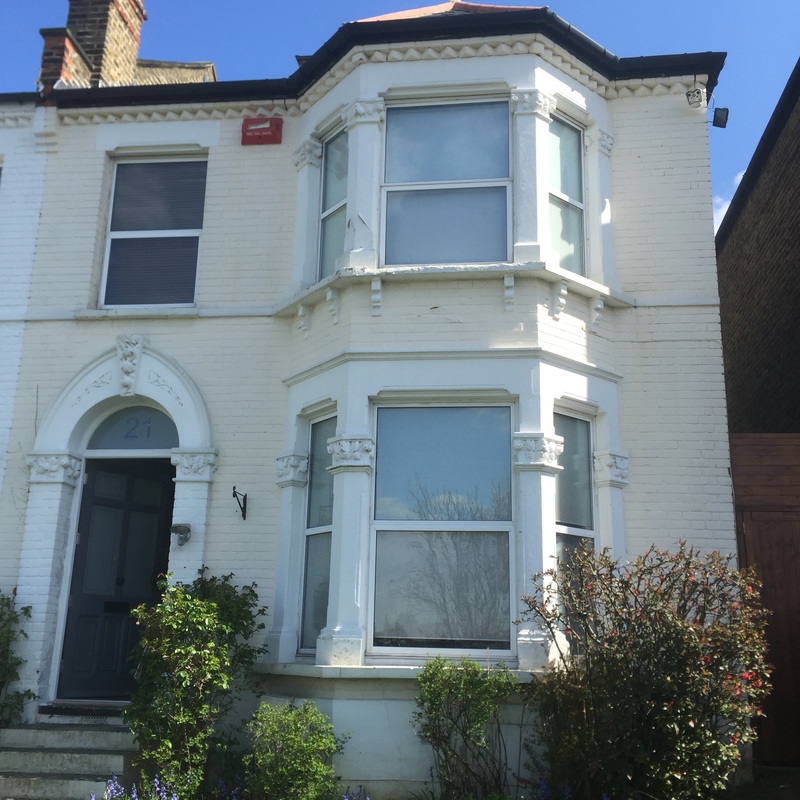 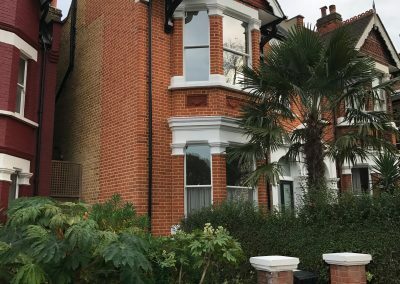 This Victorian property on The Corbett estate Catford has totally been tranformed, All paint was removed from the brickwork then all brickwork was cleaned then all bricks were Tuckpointed the house now looks amazing. 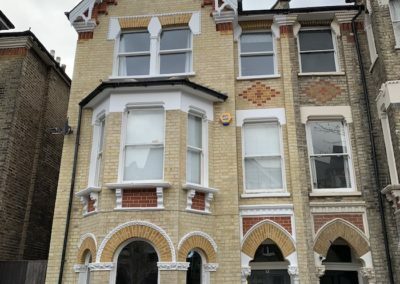 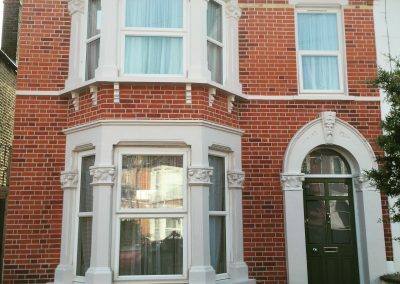 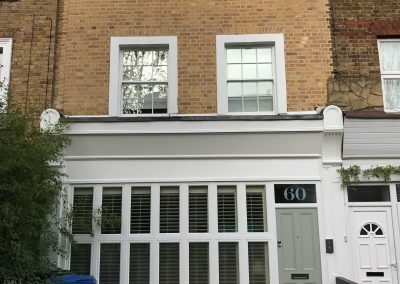 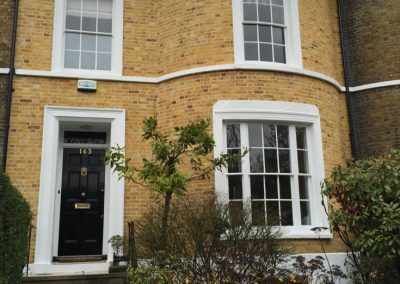 This double bay Victorioan property had our full restoration package, we removed all render from the brickwork and then restored all the damaged brickwork, cleaned all the brickwork then Tuckpointed all the brickwork, we also restored all stonework and decorated all stonework to the front of the property. 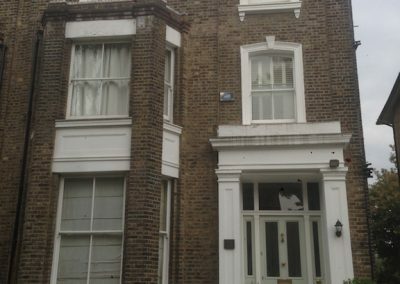 74 Boyne Road Before Restoration. 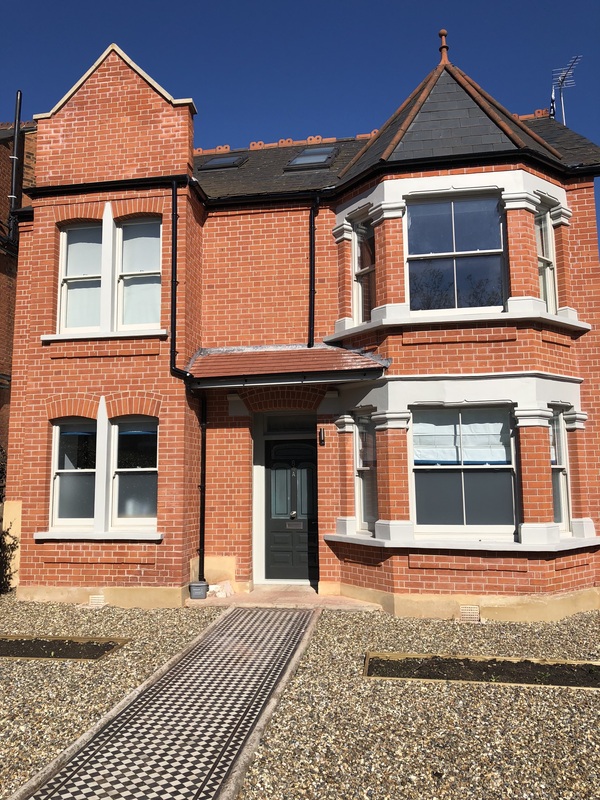 74 Boyne Road After restoration. 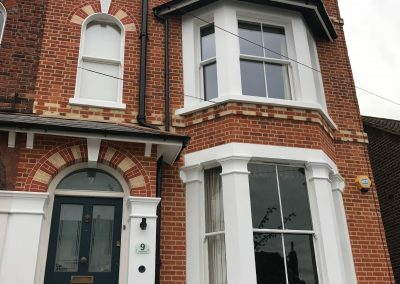 This Edwardian property was brick cleaned bricks restored and then the front of the house was Tuckpointed. 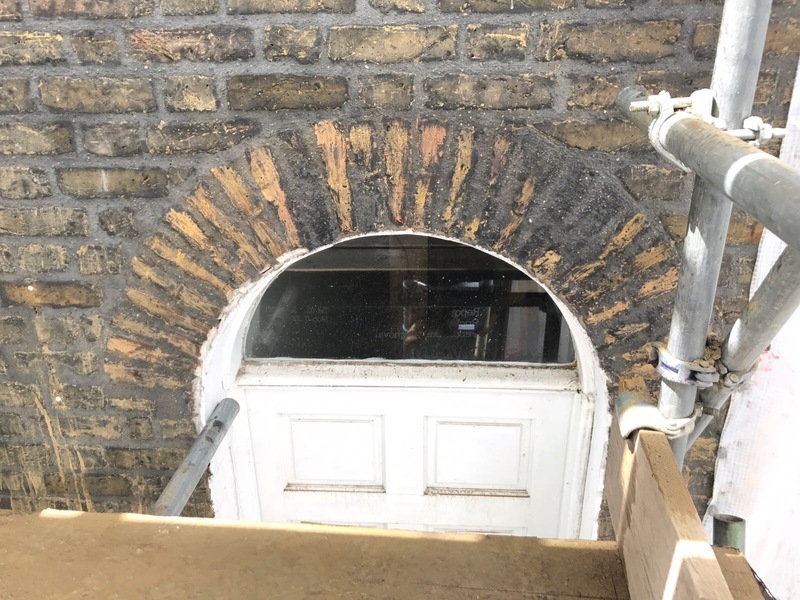 74 Boyne Road se13 Brickwork panel now Tuckpointed after brick cleaning. 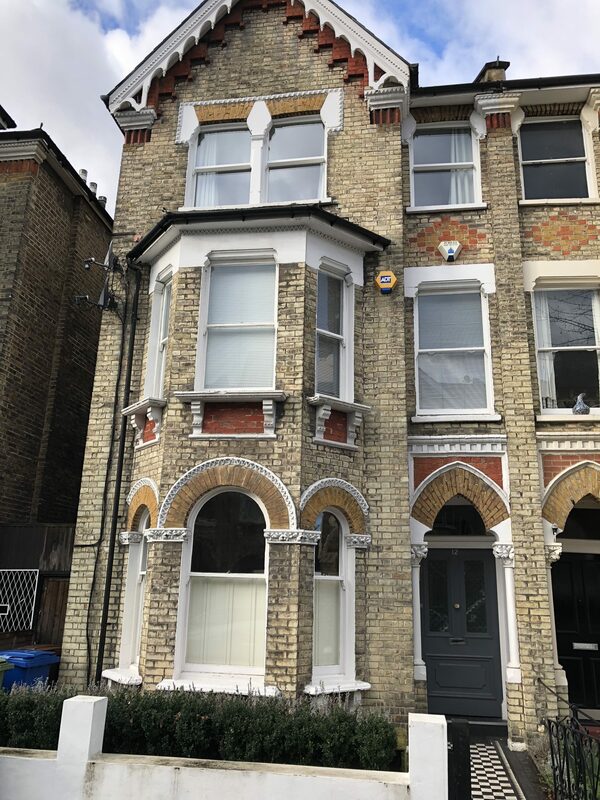 74 Boyne Road se31 Tuckpointing on this Beautiful Three Centred Brick arch. 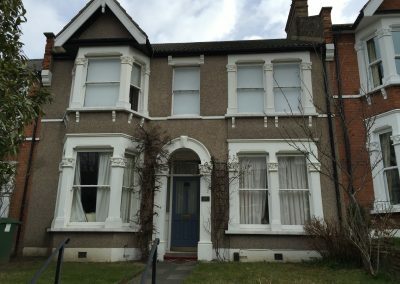 8 Malfort Road before full restoration work. 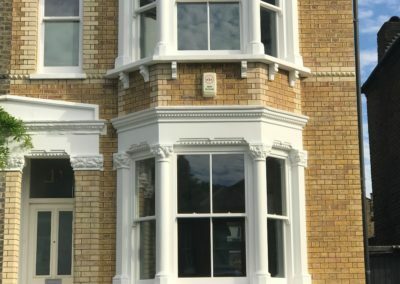 41 St Julians Farm Road. 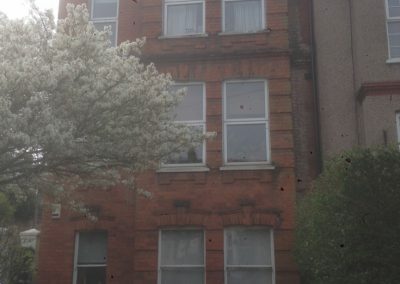 Se27. 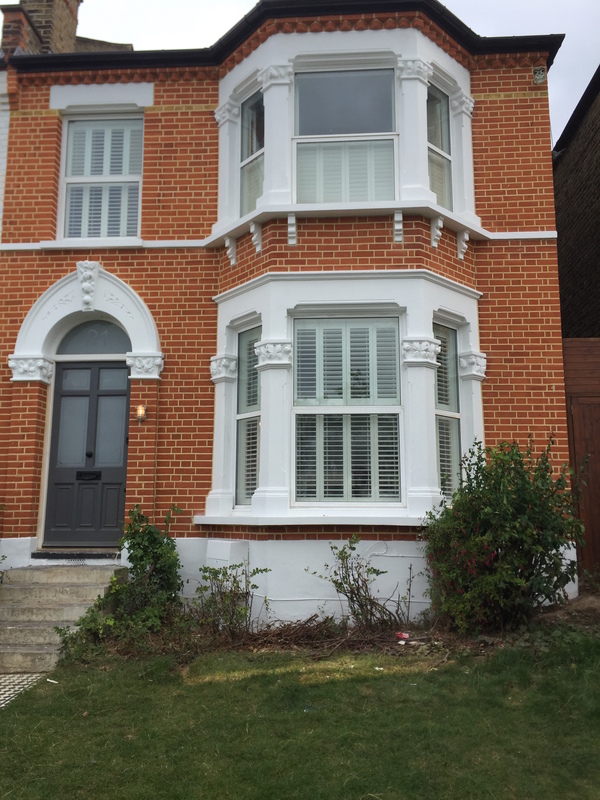 This property was Brick cleaned, Repointed in a Black Tuck finish, Then the property was Fully decorated. 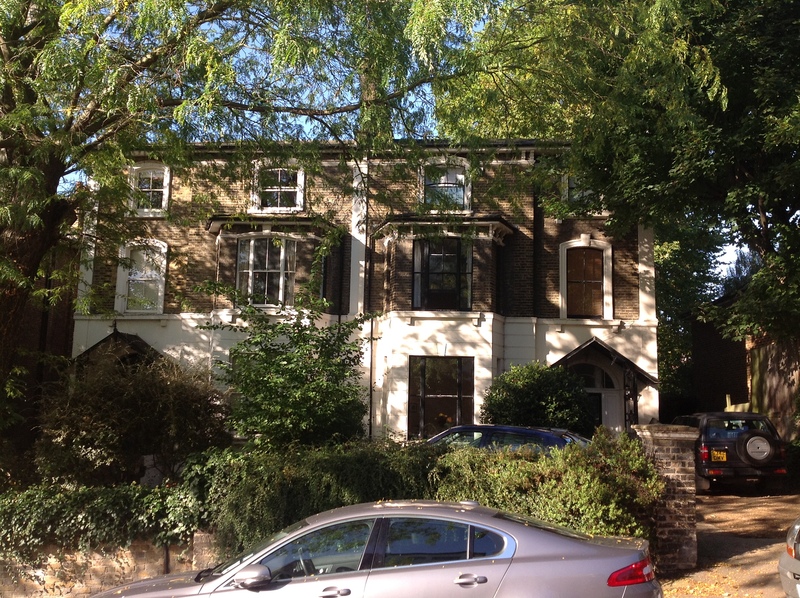 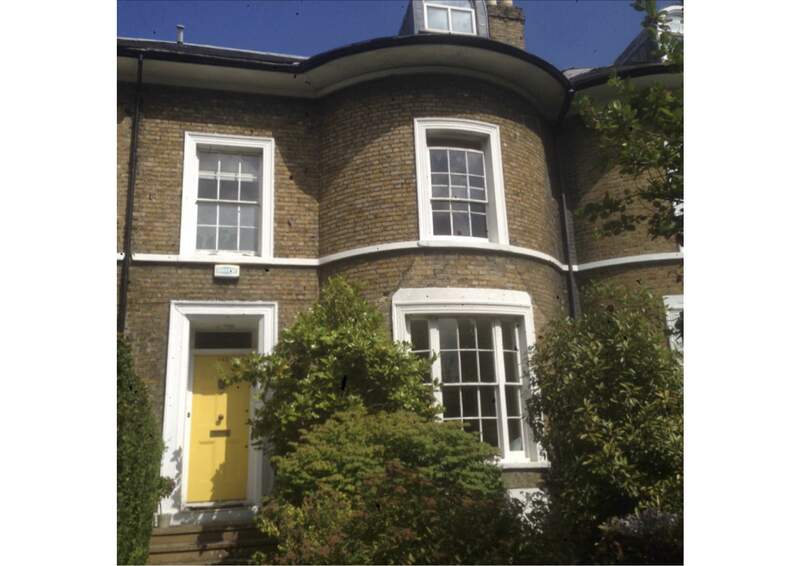 65 Calvert Road se10 Greenwich. 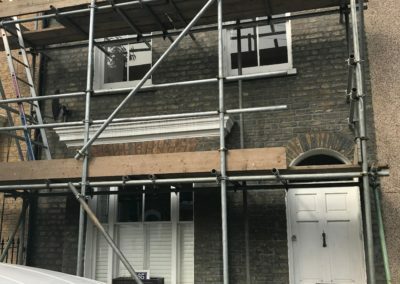 This Georgian property was totally ruined by another repointing company who done the complete opposite to what the client asked for. 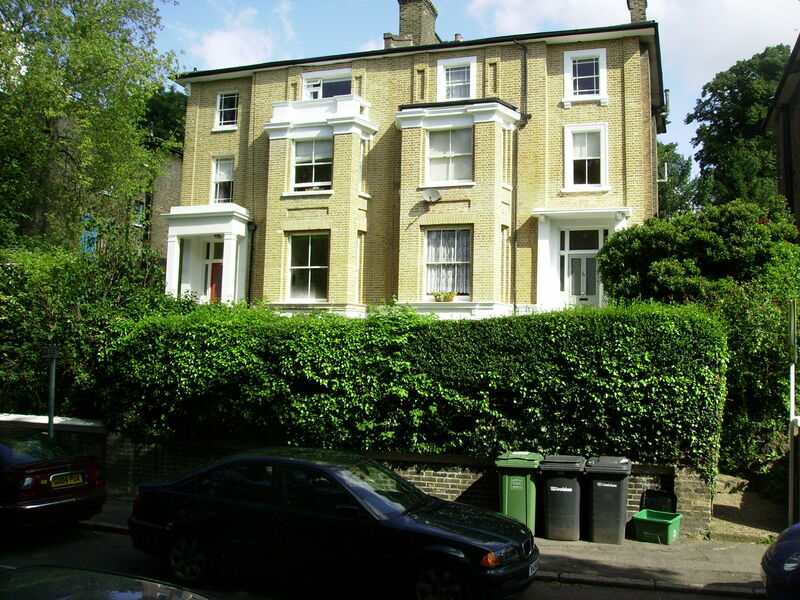 65 Calvert Road se10. 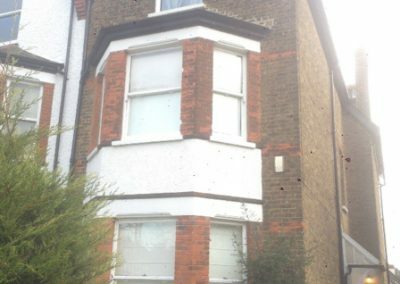 Restored the correct way!!! 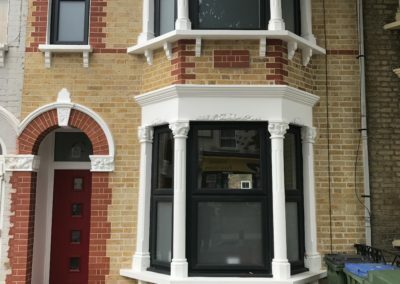 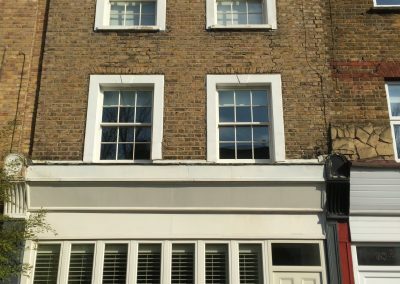 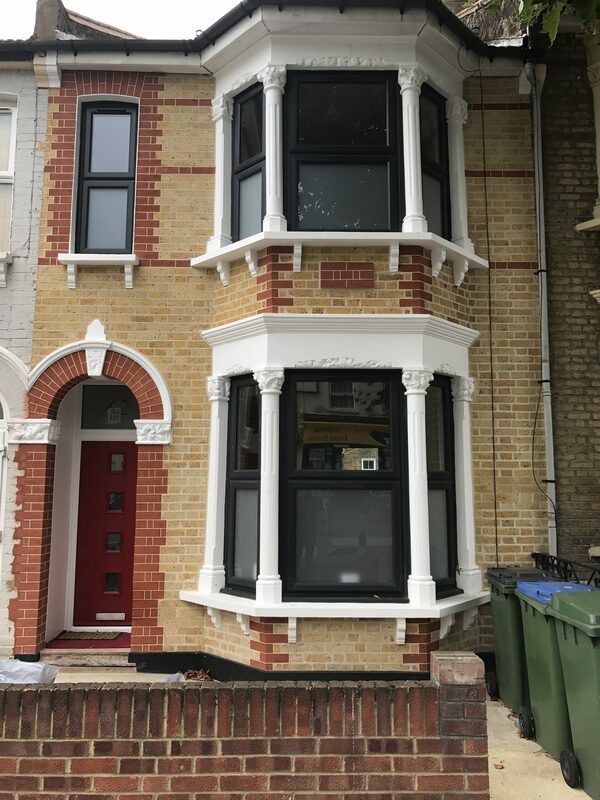 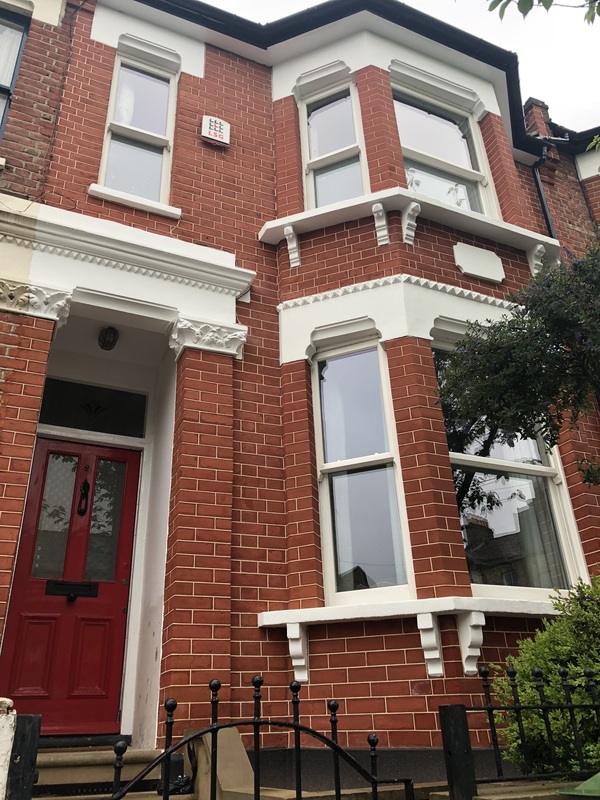 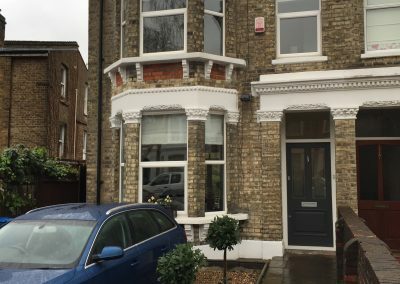 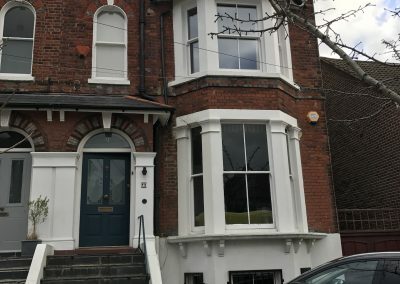 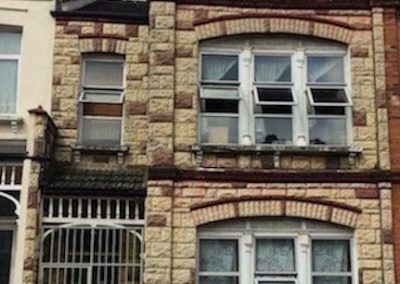 This property was brick cleaned then repointed in a penny roll finish and all window heads were Tuckpointed, new window sills were restored then all masonry was decorated. 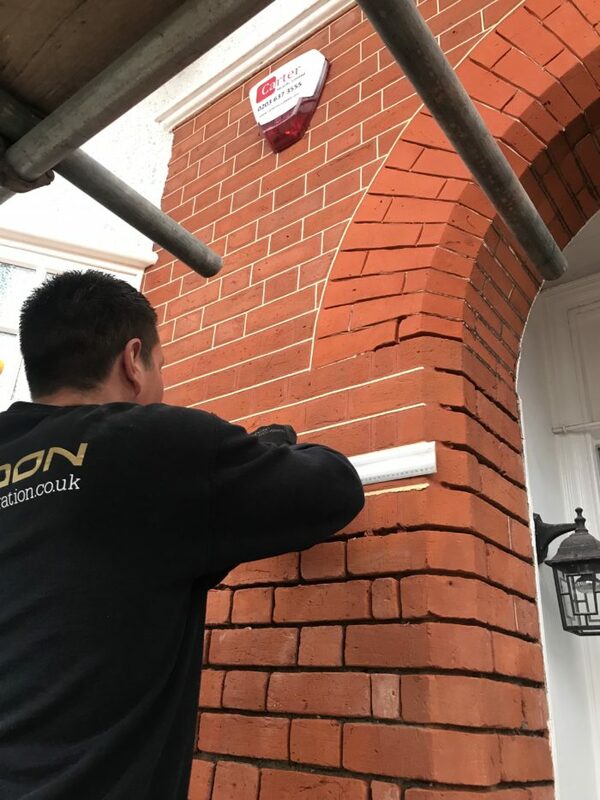 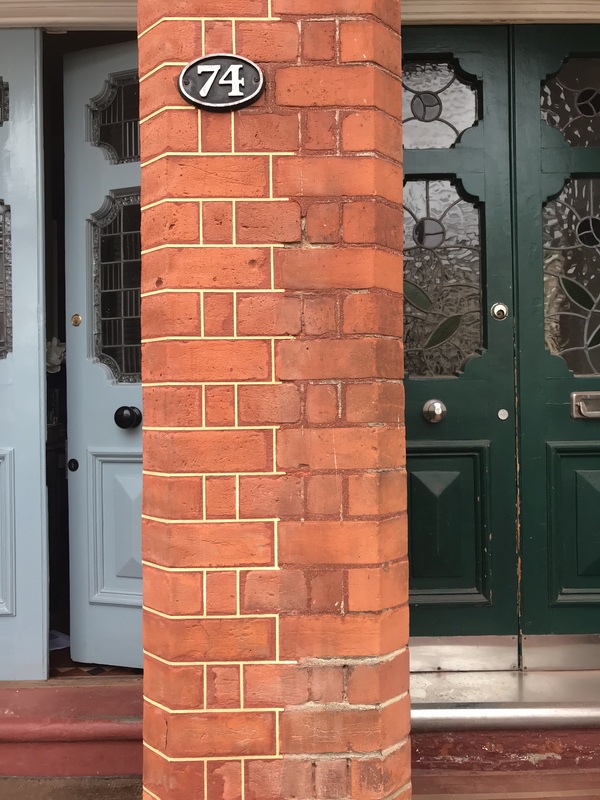 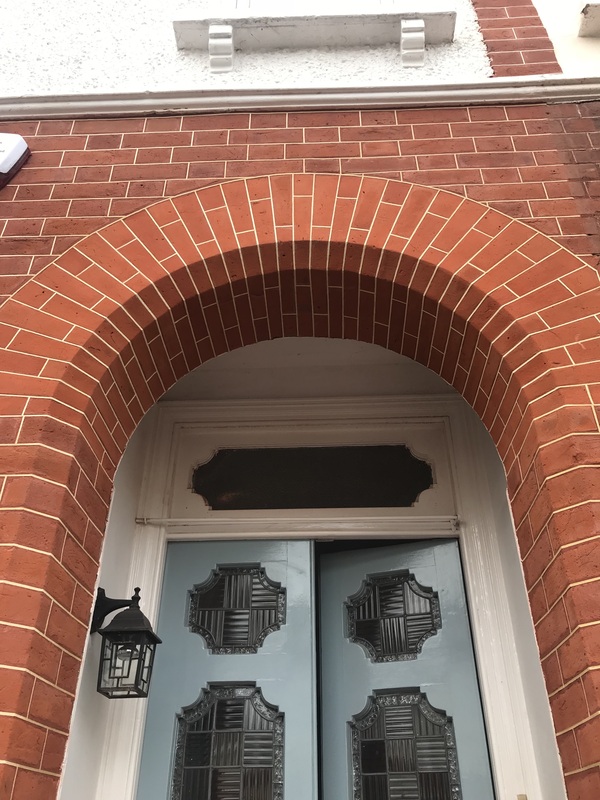 Restoration at its Best..
65 Calvert Road , Before we restored this lovely brick feature how it should be done..
3 Hadlow Road This property was brick cleaned back to its former glory then the whole facade was Tuckpointed and all stonework decorated. 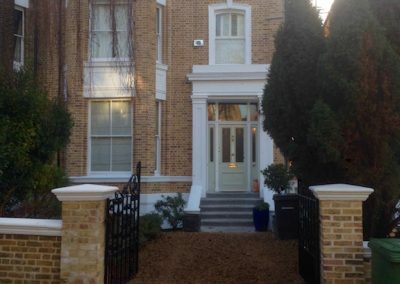 This property looks stunning. 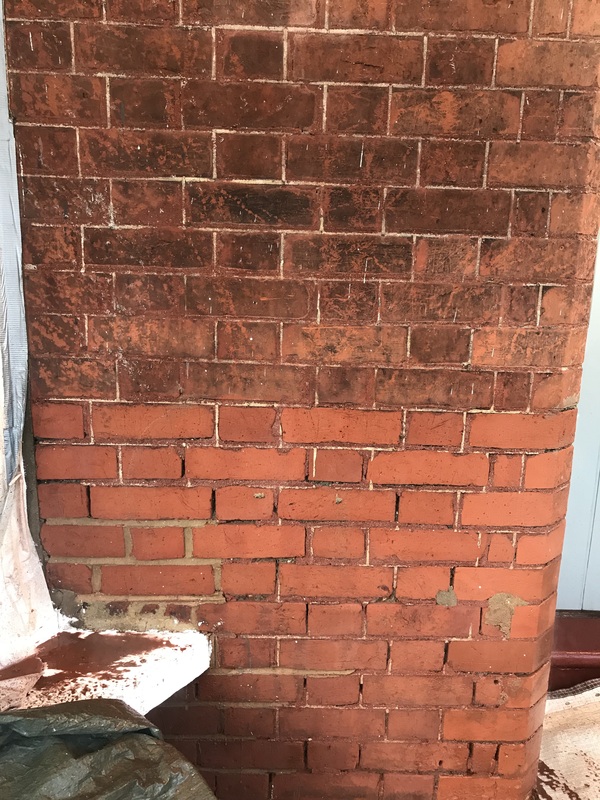 Repointing at its best!! 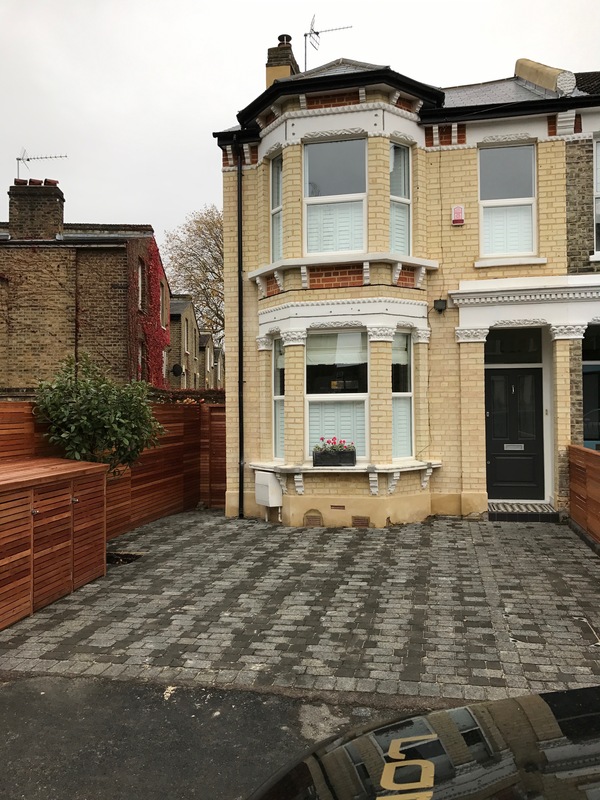 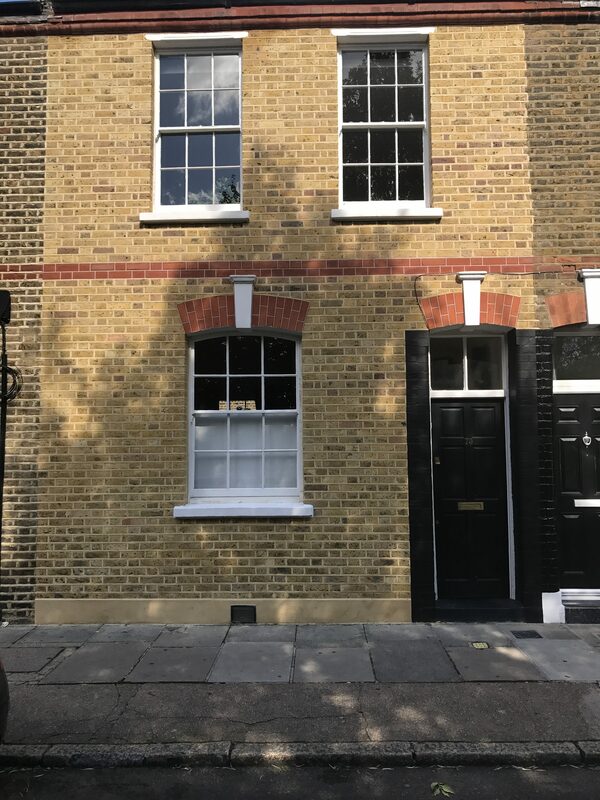 This gorgeous mid terrace in Bethnal green was brick cleaned the repointed in a ribbon style finish to all yellow London stocks then all red features Tuckpointed. 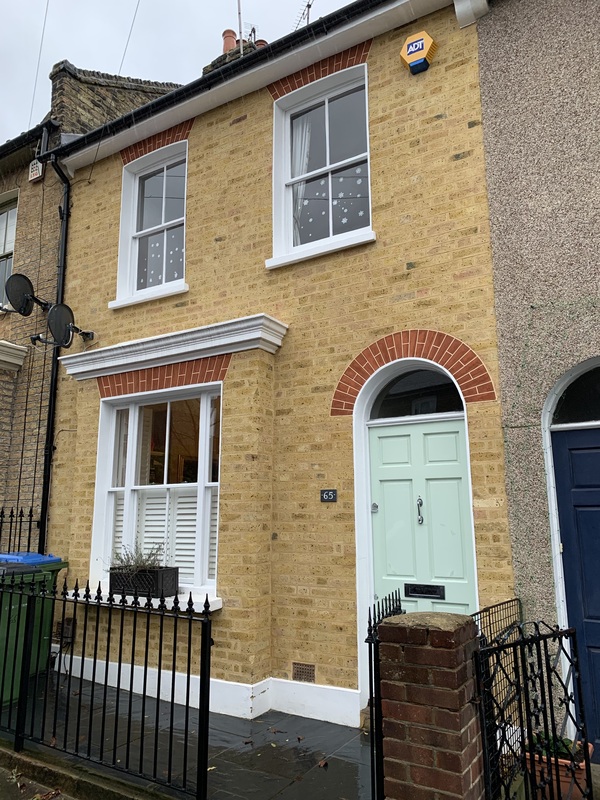 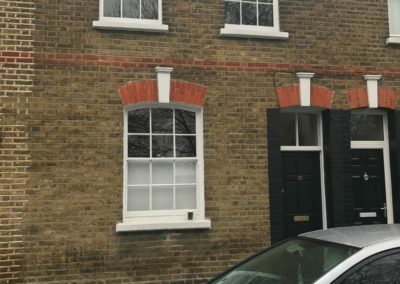 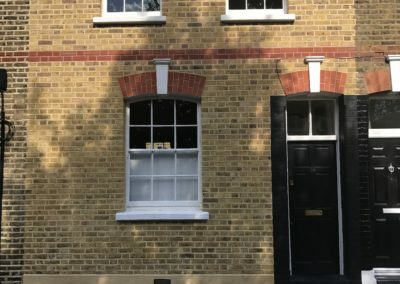 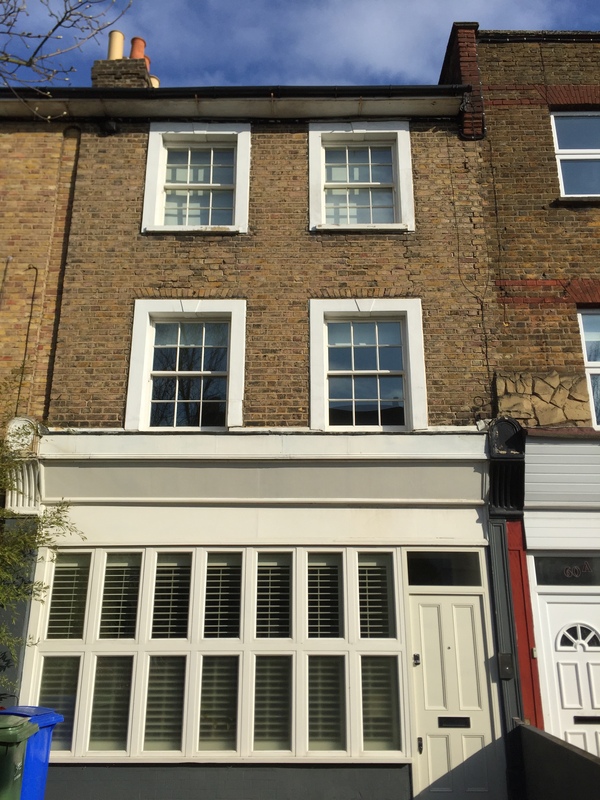 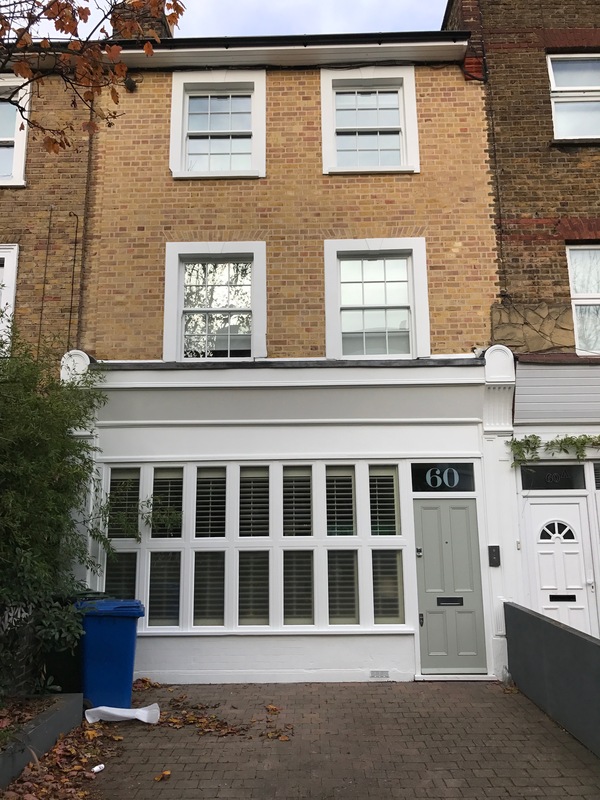 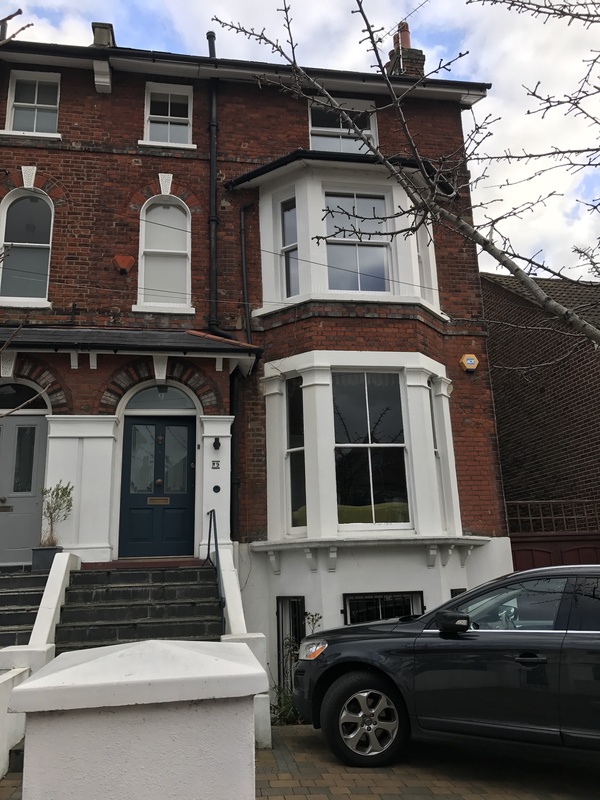 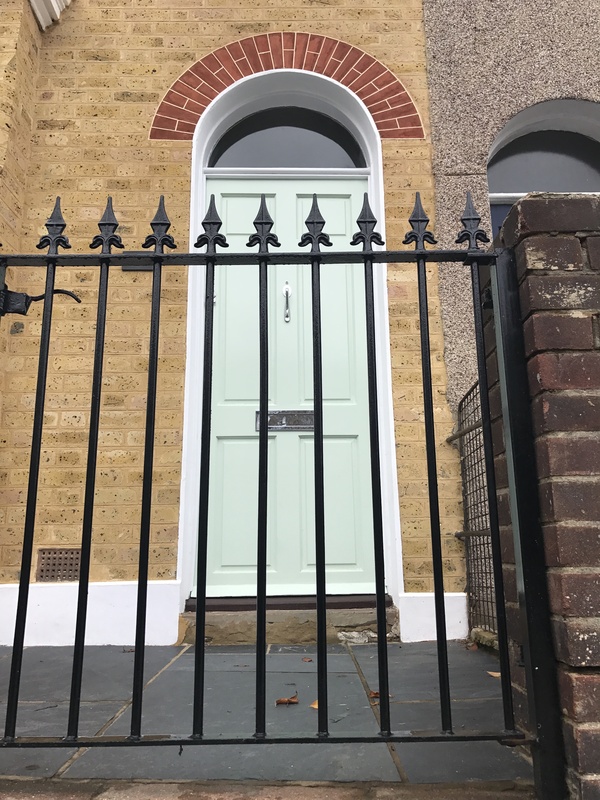 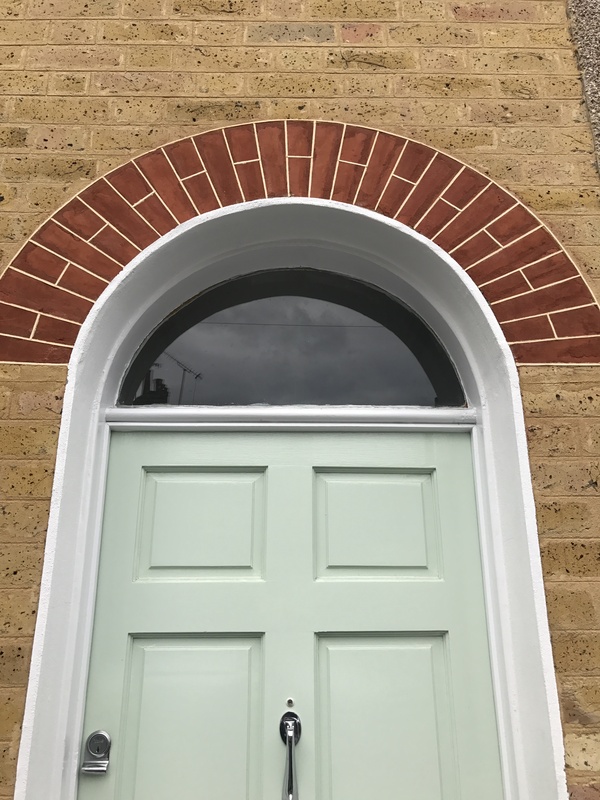 38 Torridon Road, This property has had a full brick clean and full brick restoration package and then a full repoint of all brickwork in a pigmented Lime mortar in a traditional Penny roll finish and all stonework was restored and decorated,. 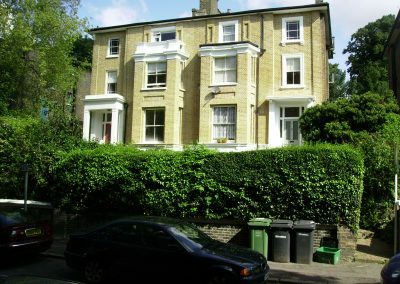 24 Upperton Road Da14. 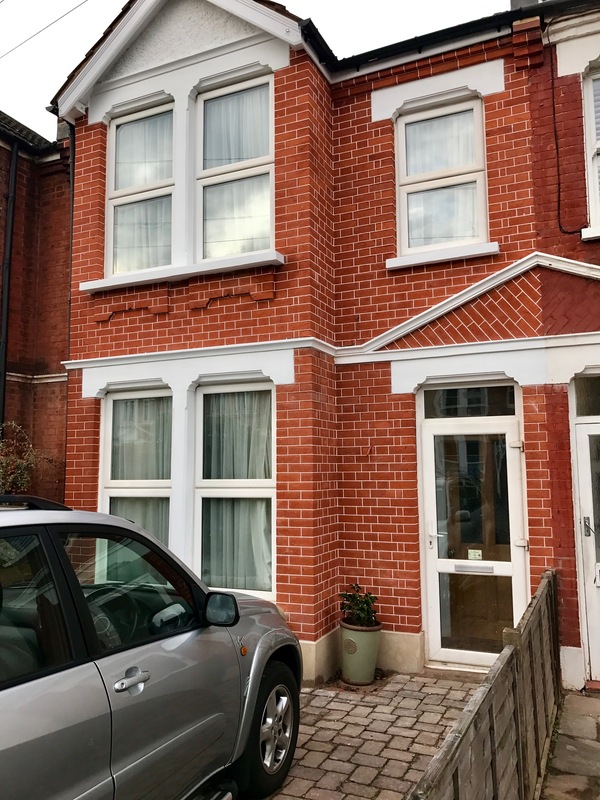 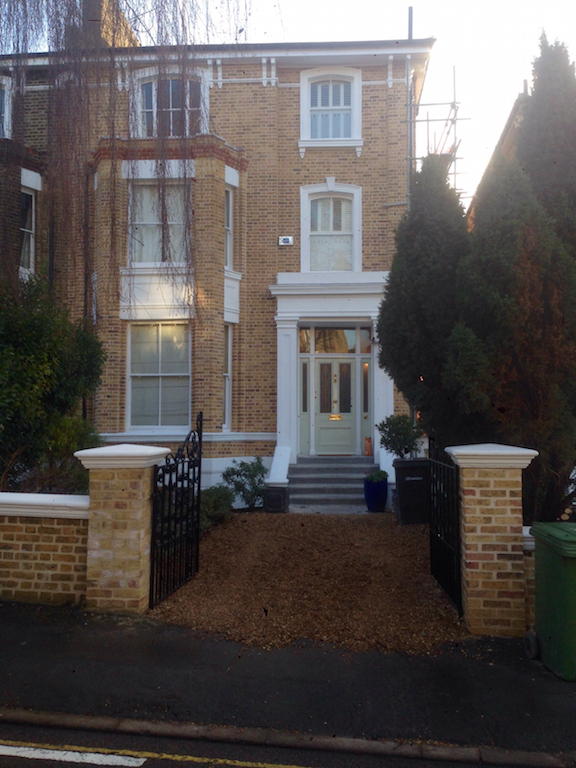 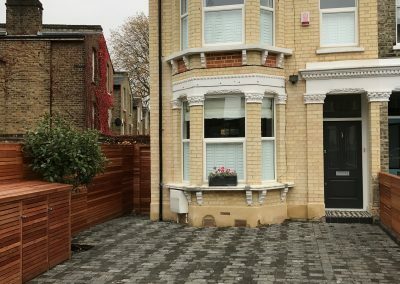 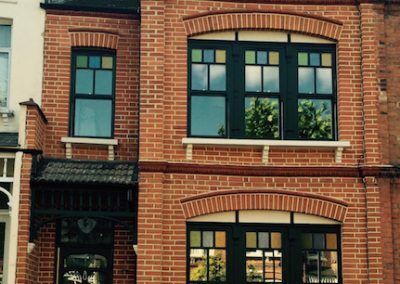 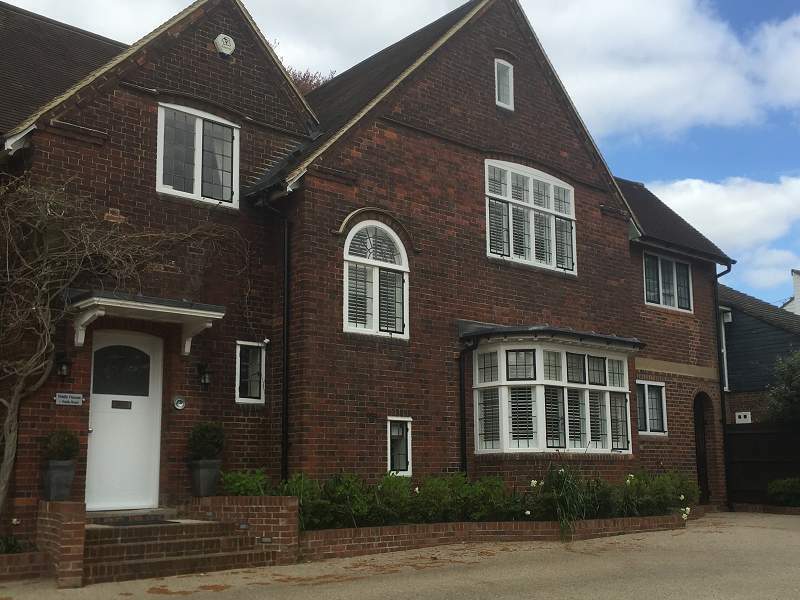 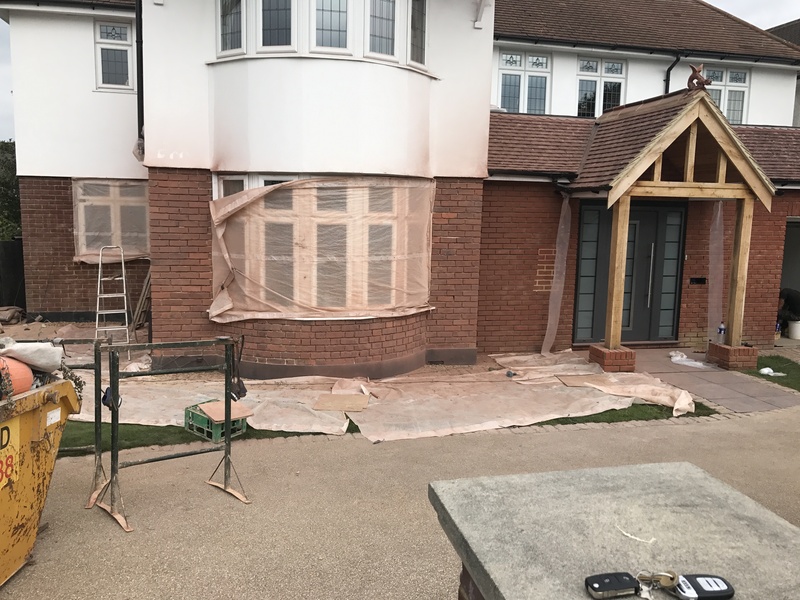 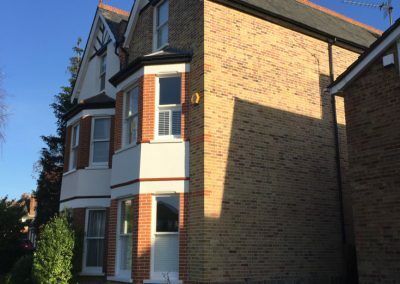 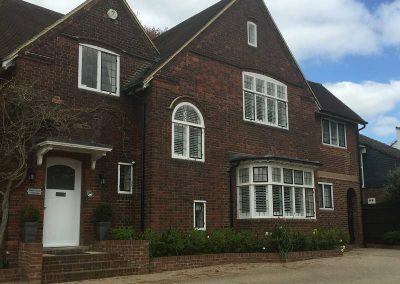 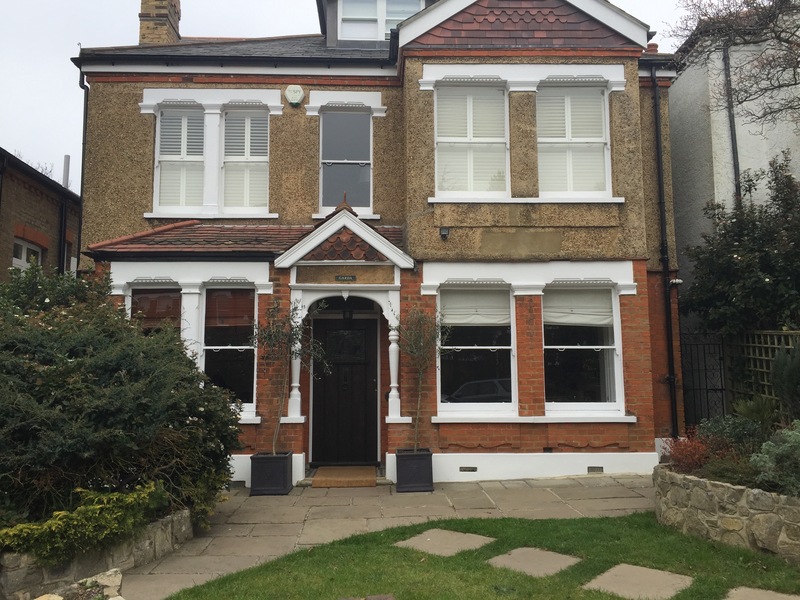 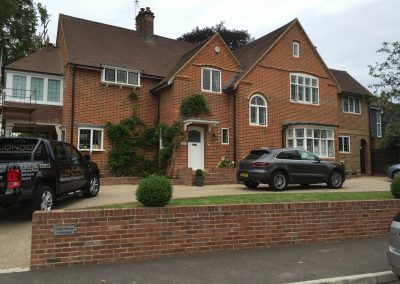 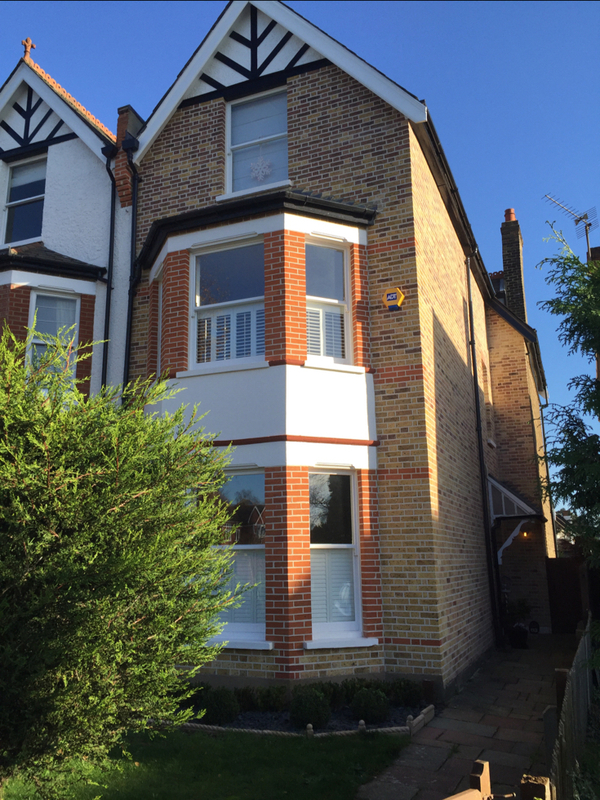 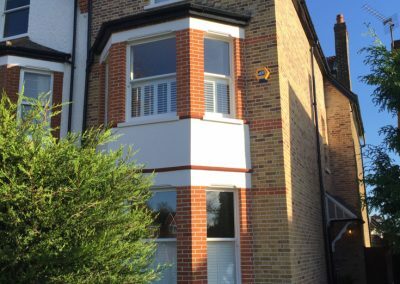 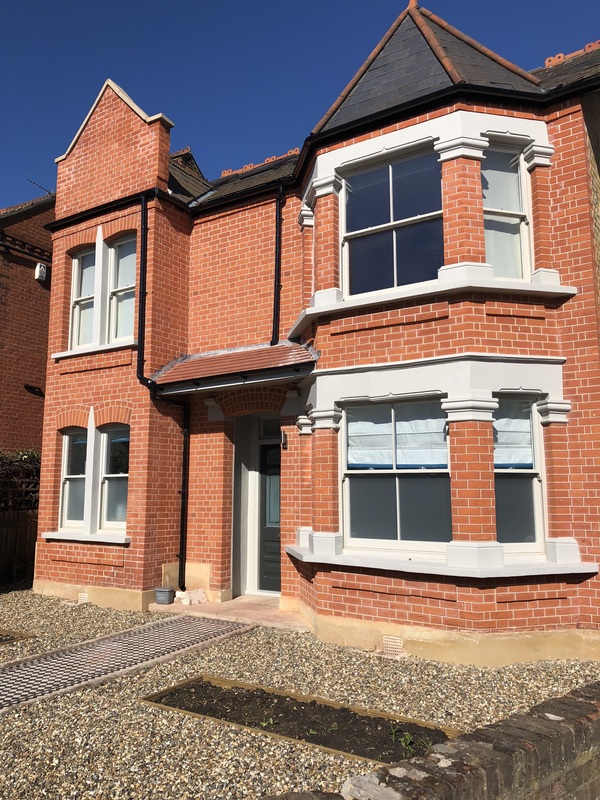 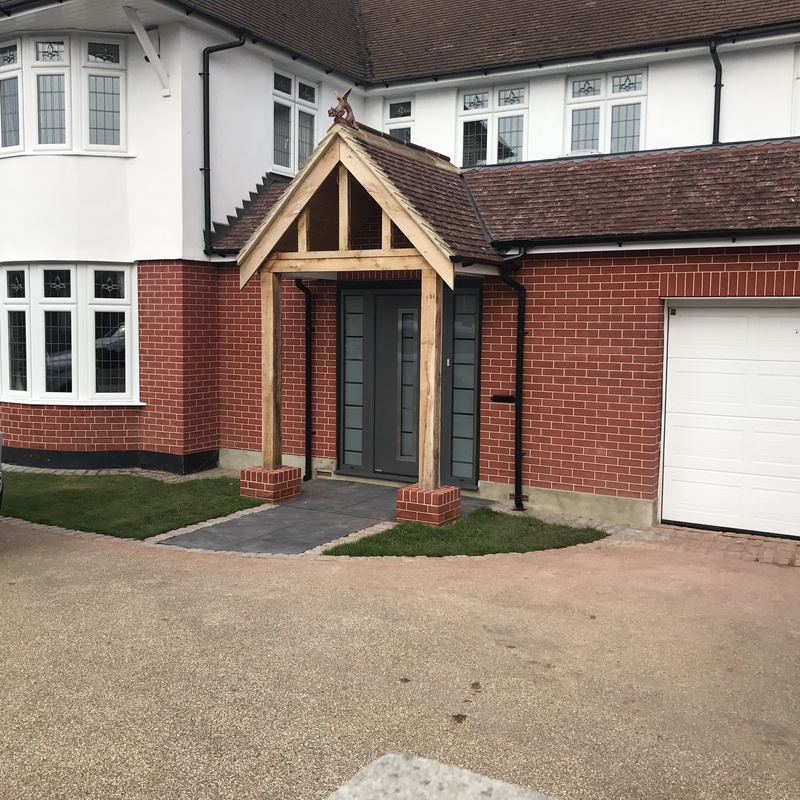 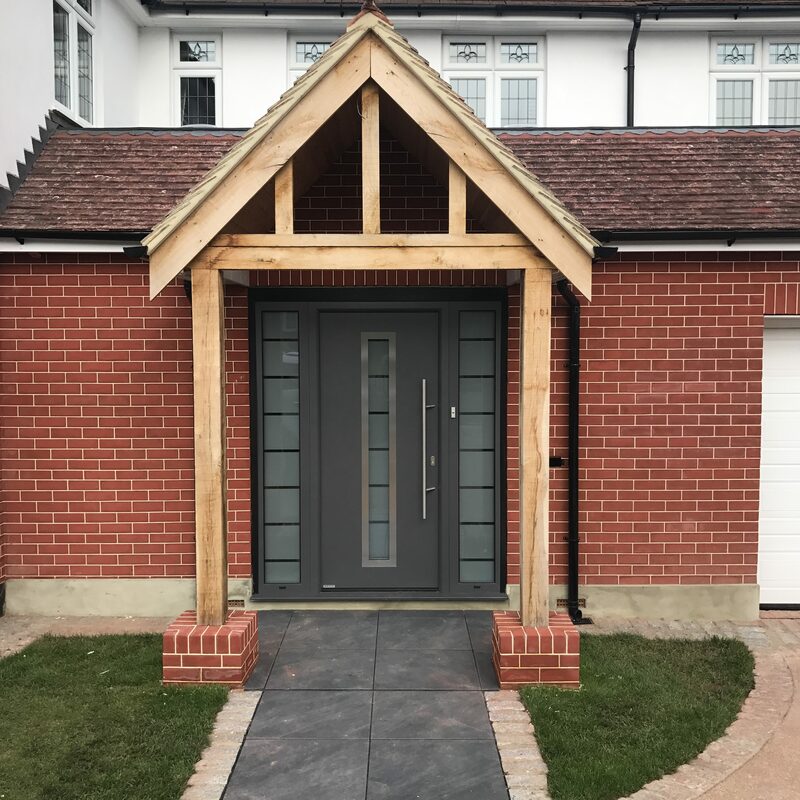 This property in Sidcup was brick cleaned then carefully brick tinted to match the two different shades of brickwork then the whole front of the house was Tuckpointed. 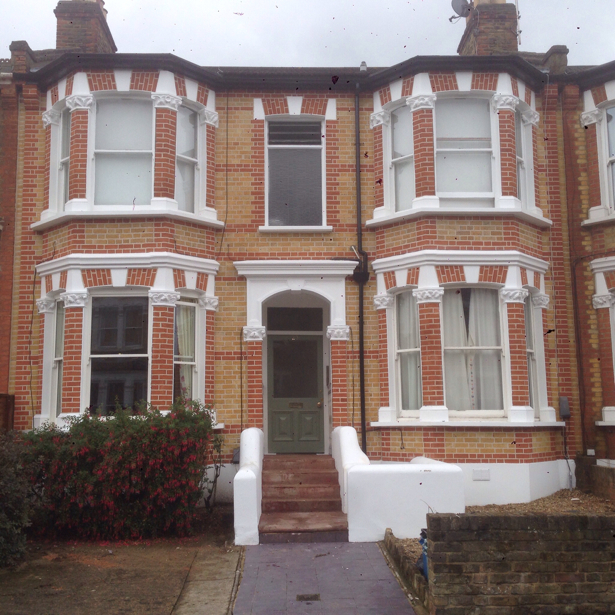 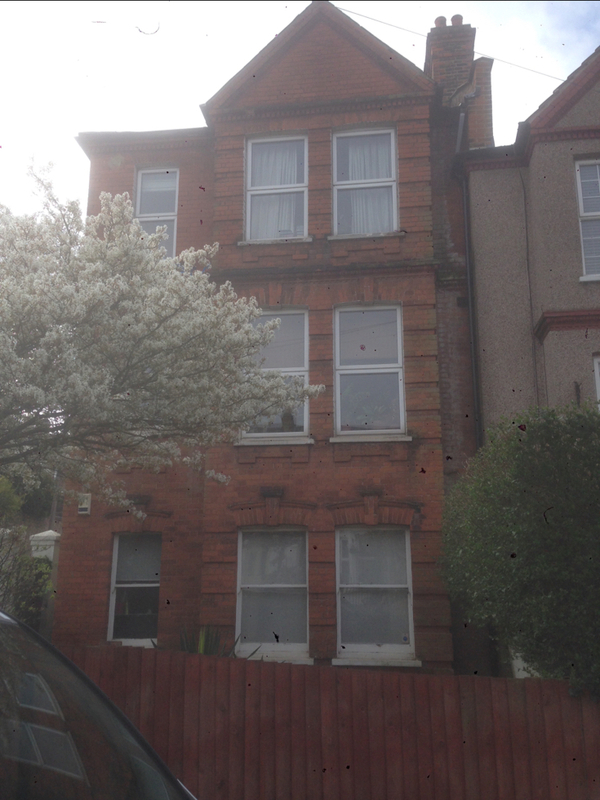 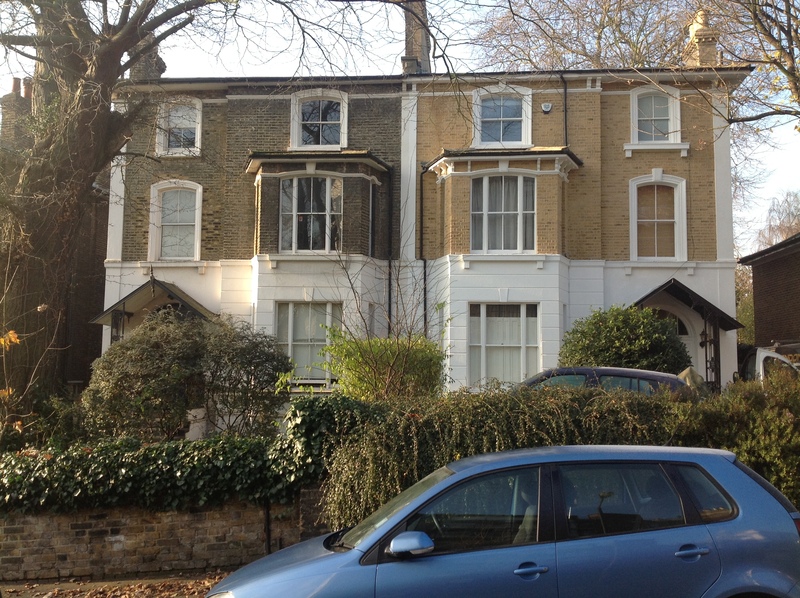 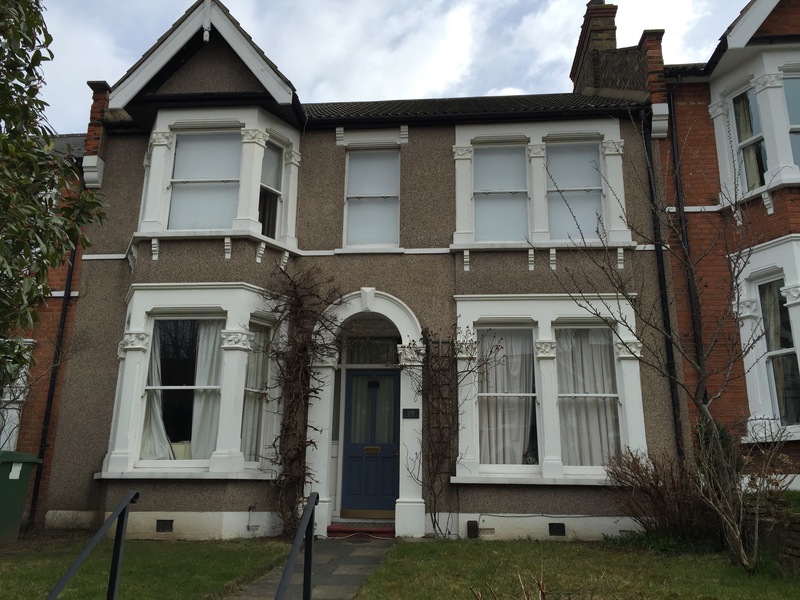 24 Upperton Road, Before full restoration work Colour washing and prepping for Tuckpointing. 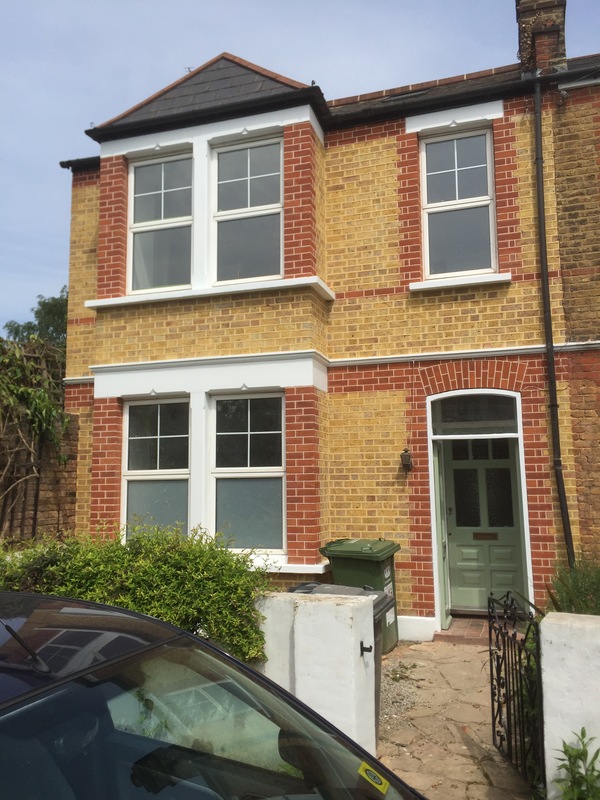 62 Irvine Road se7. 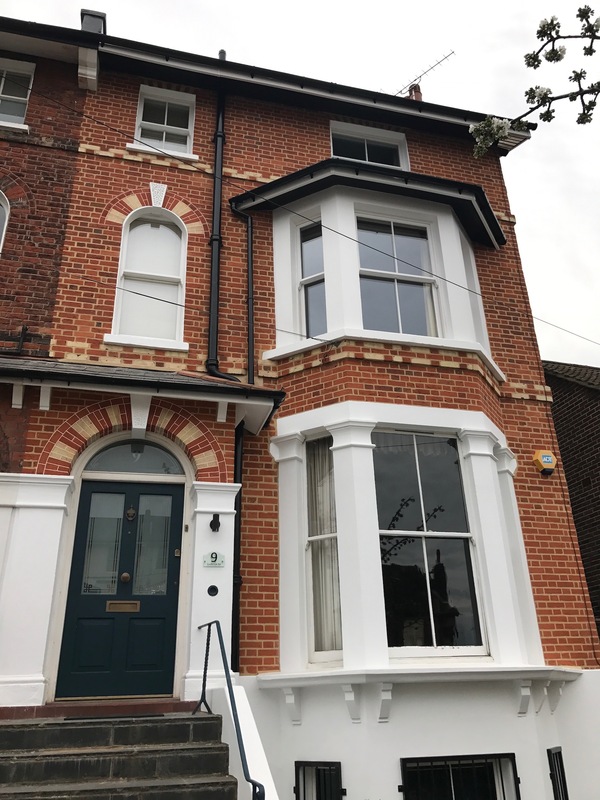 This property was brick cleaned, Then repointed in a combination of Ribbon pointing and Tuck pointing, Then the house was fully decorated. 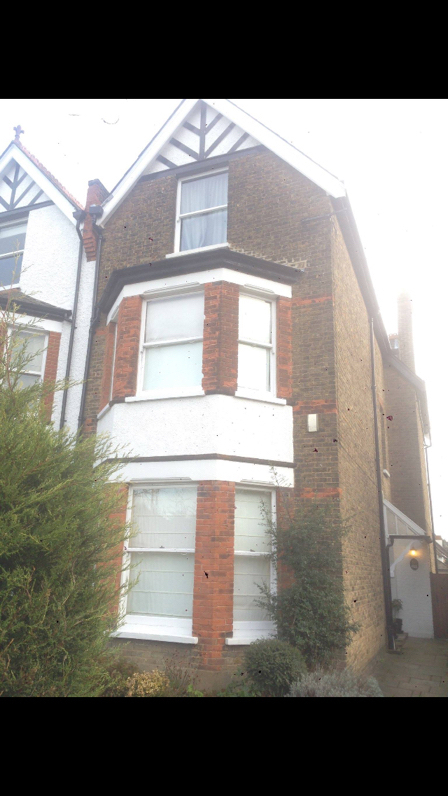 164 Mackenzie Road Beckenham before Restoration work. 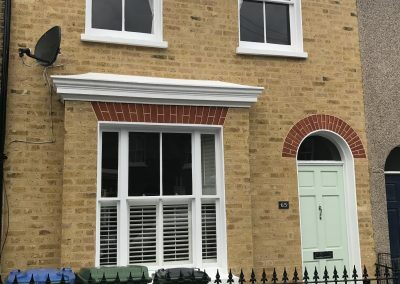 164 Maclkenzie Road, This property had a full Brick Clean lots of brick replacements, then the brickwork was Tuckpointed and all stonework restored and decorated. 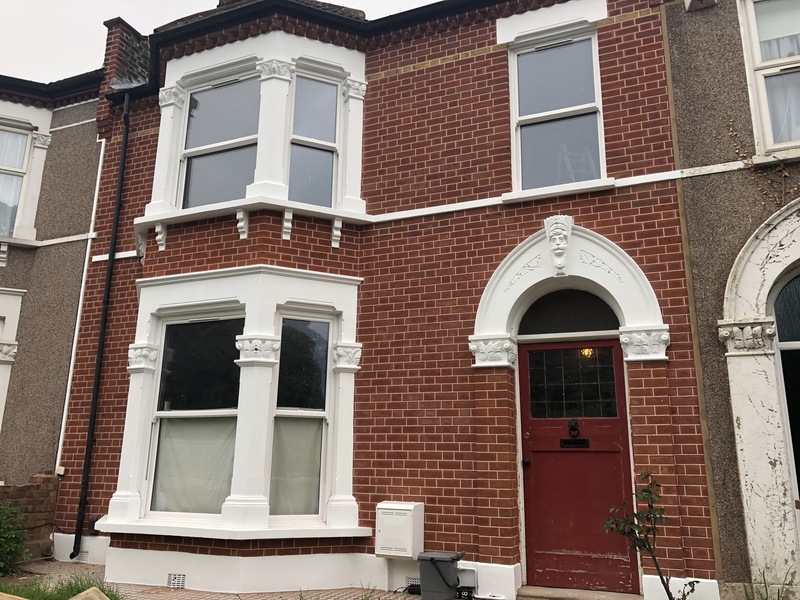 This property had a full Paint Removal clean from all brickwork then a full Brick Clean plus many Brick Replacements then full paint Decoration to all Stonework including new windows sills. 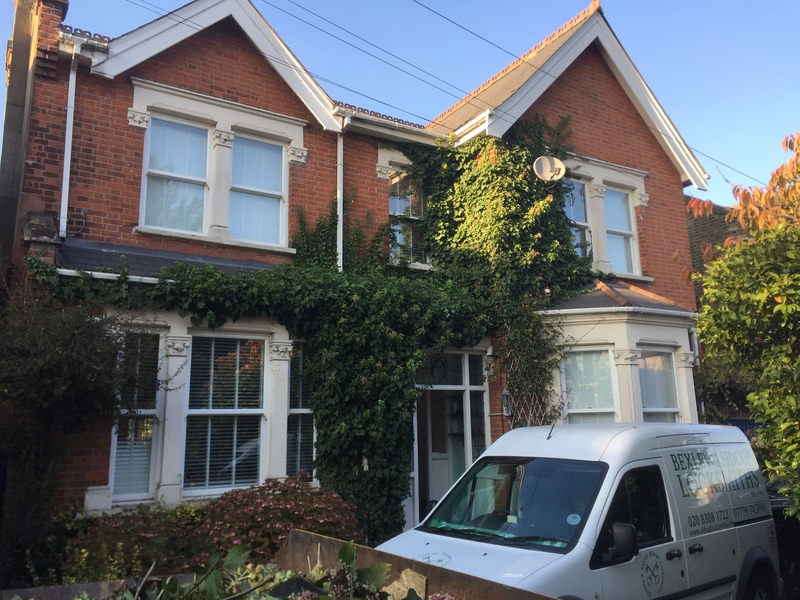 Full Brick Clean of whole house , Full Repoint of whole house in Natural Lime mortar in a Flush Finish , Full decoration to all woodwork . 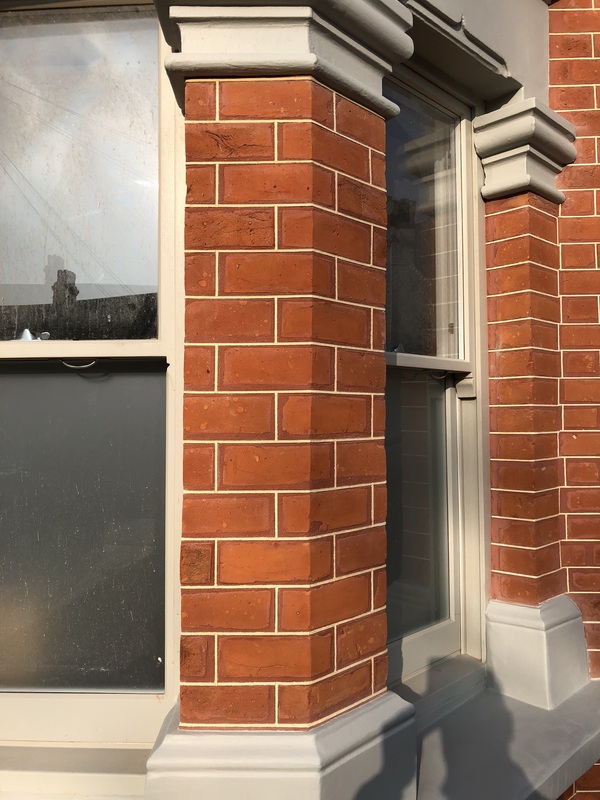 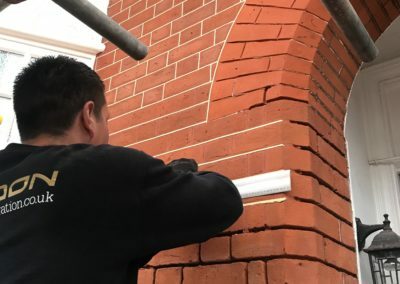 This property had a Full Brick cleaning a Full Repoint in Natural Lime mortar , Tuckpointing to Gauged window arches Brick replacements and Full paint decoration to all stonework . 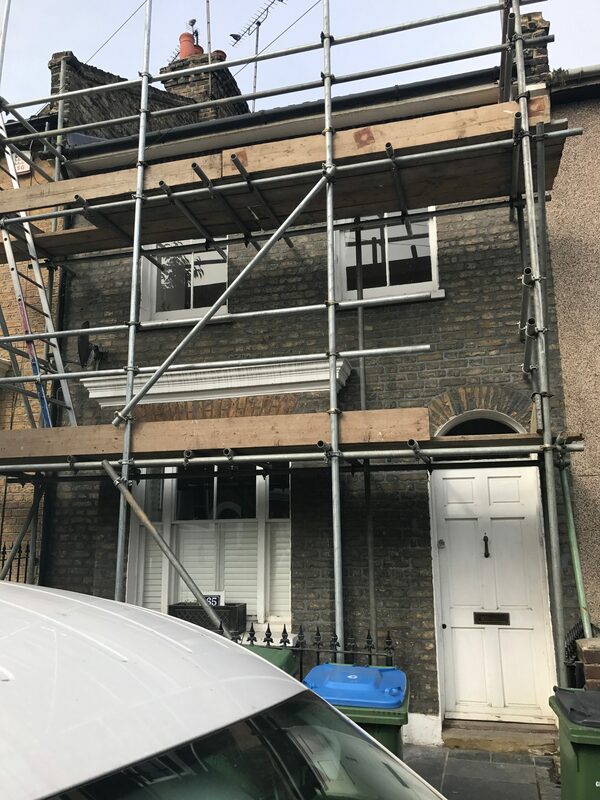 8 Calais Street Se5 Before Restoration work. 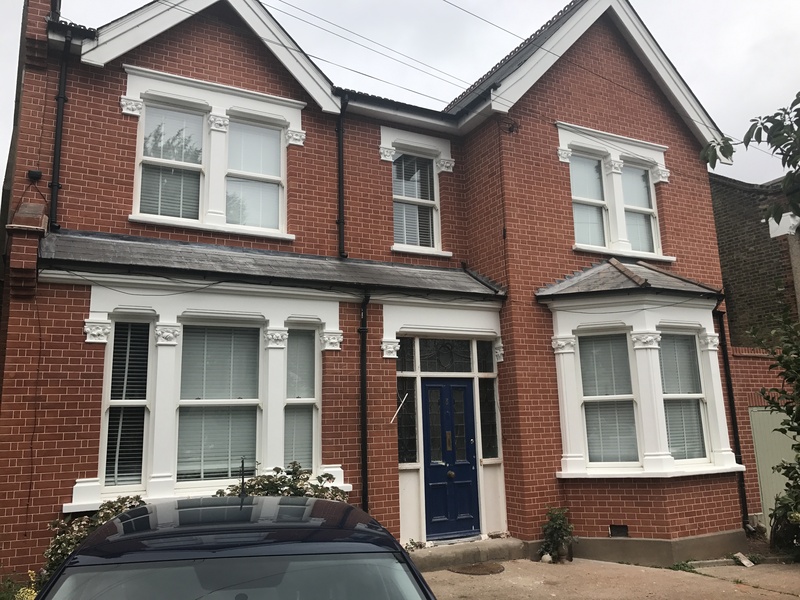 This property had a full Brick Clean then the front facade was Tuckpointed many brick replacements plus all stonework was restored then painted with new lead work to facade. 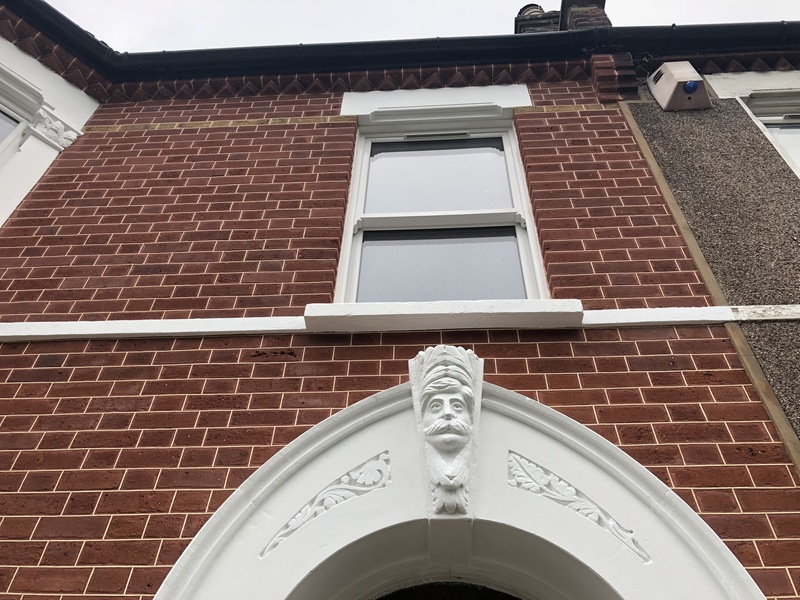 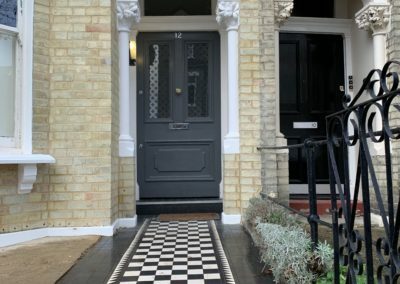 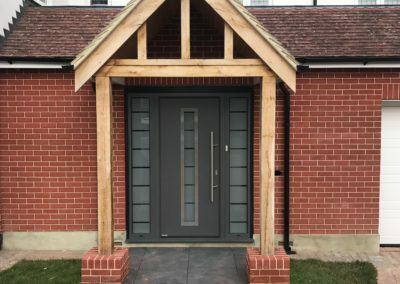 This property had all the stone cladding removed from the front of the house all the brickwork restored then a complete repoint in a ribbon style finish with a full decoration to all stonework. This property had a full brick Clean to all brickwork front and side of the house. 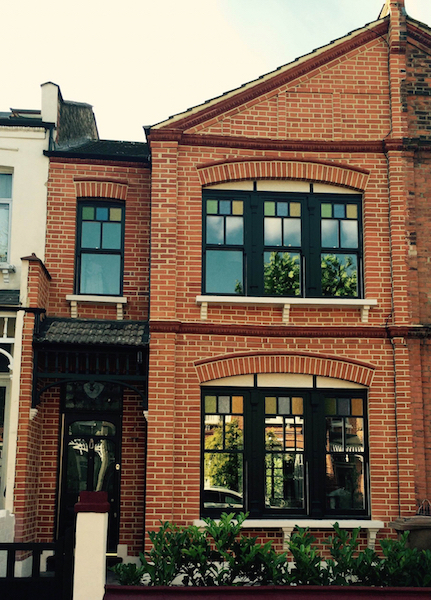 Then all brickwork repointed in a ribbon style with all masonry decorated. 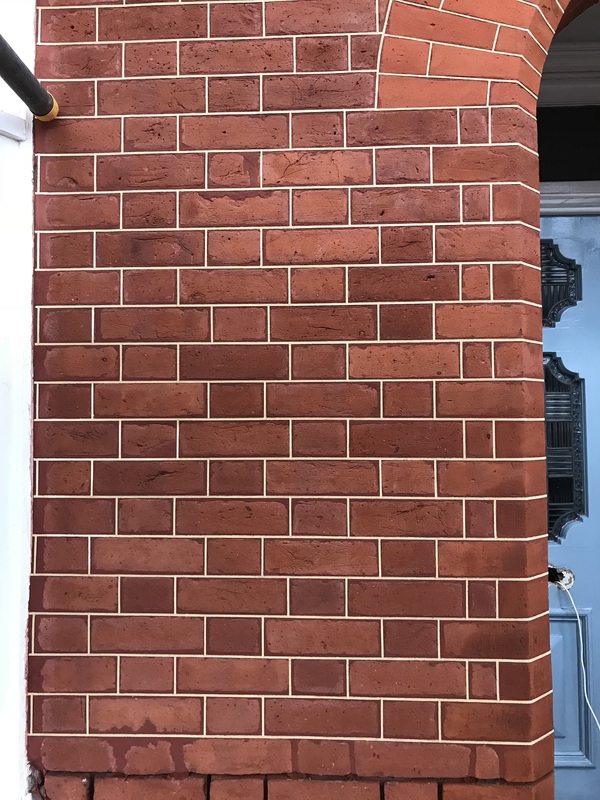 This property had a full brick clean of the whole house. 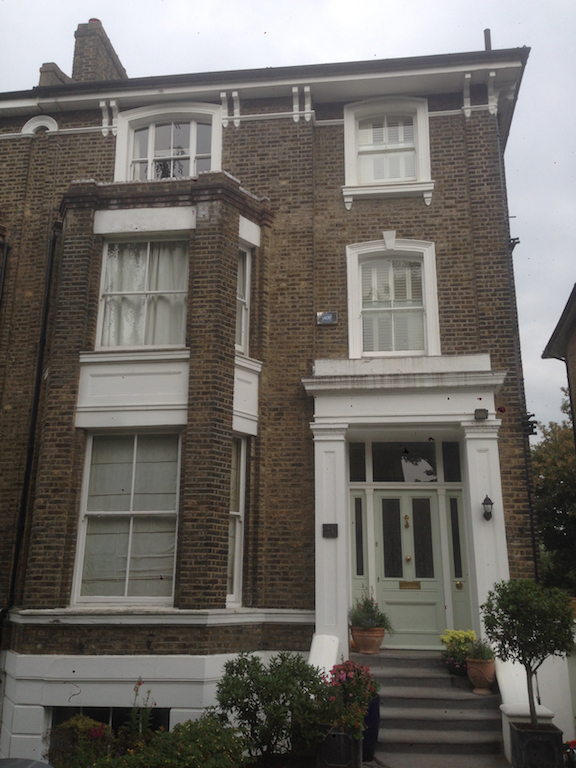 Then all the brickwork was repointed then all the stonework and woodwork on the whole house decorated.